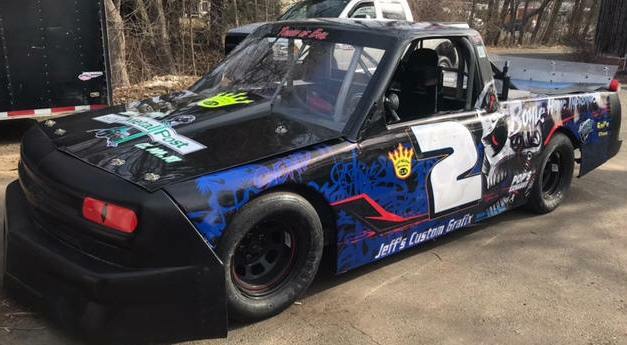 The 2019 EXiT Realty Challenge season officially is underway after the completion of two events at Thompson Speedway's Ice Breaker on April 6th. Both the EXiT Realty Challenge 375 Pro Sportsman and the EXiT Realty Challenge ProTrucks put on exciting shows. Pro Trucks: In practice the truck to beat was Dave Koenig's 97. Dave had turned times in the 22.8 second range while his competition had trouble getting any times in faster than a 23 flat. In qualifying, the 97 was only able to turn a 23.363, still near the front of the field, but not good enough for the pole. Gerard Giordano Jr. grabbed the pole position with a lap of 22.910. Jacob Perry grabbed the outside pole He was .011 hundredths of a second slower . The Pro Trucks kicked off racing for the weekend. The start time was moved up for outside pole sitter Perry was headed to a prom directly after the race. Giordano selected the inside position on the start, and won the drag race to turn one. Perry hounded Giordano through the early stages but was unable to wrestle the top spot away. Meanwhile Koenig in the 97, and Duane Noll in the 2 battled for 3rd. The battle went on throughout the first half of the race Noll wanted by low. In the words of the announcers, he was trying to "Croquet his way" by. He eventually powered his way out of two under Koenig and took over the position in turn 3. The 97 attempted to cross back under out of 4. The two headed to turn 1 side by side. Noll headed to the bottom groove as the duo entered turn one but was not clear of the 97. Noll spun and the first yellow flew on lap 16. The restart featured the same front row. Ivory in the 54 grabbed 4th. Todd Taylor lined up behind Leone in 5th. The field took the green flag from starter George DeCoster and powered in to turn 1. Todd Taylor had a braking issue and spun his Silverado in to Ivory's 54 , and also collected the 2 of Noll. Both Ivory and Noll looked to be contenders early, but were done for the day due to the incident. Amazingly the crew of Taylor was able to get the 21 repaired and back out without losing a lap. From there the story of the race was the Giordano and Perry show up front. Lap after lap Perry mounted a challenge and Giordano held him off. Heading for the white flag, with one to go, Perry moved the nose of the 71 under the 15jr. but could not pull up along side. Giordano tried to close the bottom through turn one. Perry just went even lower. Coming on to the back stretch Perry used the nose of the 71 to move Giordano up the track and powered by low. There was no time to mount a comeback. Jacob Perry would complete the lap and score his first Pro Truck victory. Gerard Giordano would hold on to second. Dave Koenig worked his way to the 3rd spot. Lucas Leone was able to skillfully finish 4th. Tony Naglieri sporting his new Silverado bodied Pro Truck rounded out the top 5. The story was not over for Perry though. He had a prom to head off too. He had to take a shower using water bottles in the back of the hauler, then into the tux, and on to a golf cart where he and his prom date headed away on time. Complete results can be found by going to the Results & Standings page and click the race date at the top of the points column for the Ice Breaker. 375 Pro Sportsman: Later on in the Ice Breaker program it was time for the 375 Pro Sportsman feature. The 375 Pro Sportsman feature a field of what amounts to All-Stars from racetrack throughout New England. Alby Ovitt, in the immaculate number 35 Renfrew Camaro had time trialed on the pole earlier in the day with a lap of 22.674. This car is a show piece and fast. Everyone knew Alby would be a threat. On his outside was teammate Jimmy Renfrew jr. in the familiar 00 Camaro. Surprisingly, defending champion Shawn Monahan, in his new #55 Critical Signs Monte Carlo, only timed in 8th. Alby powered off to a great start. Bear Charette in the #14 with the big bear claw on the side, wrestled the second spot away from Renfrew. Lallier was able to move into the 4th spot. Paul Williams rounded out the top 5. The best battle early on was between Renfrew , Lallier and Monahan. Lallier had challenged Renfrew low. Monahan shoved the 00 by working the high side. Once clear Monahan used the top side of 1&2 to gain momentum and pushed the 00 down the straights. The 00 challenged Charette low and Monahan used the top again to motor by. Monahan used the low groove to get by Charette, and the chase was on to catch the leader. He would be helped by the yellow as last years Ice Breaker winner spun coming out of turn 4. The restart set up the battle everyone had been waiting for. Ovitt vs Monahan . Monahan, over the next lap and a half, was able to use the top groove and clear Ovitt. They were side by side within two laps but Ovitt could not complete the pass. Monahan is a master at Thompson. After a side by side battle the 55 was back out front. Alby Ovitt, one of the finest short track racers in New England, was studying his opponent and preparing for another charge. With a little less than 10 to go the 35 nosed under the leader but could not compete the pass again. Alby went back to sizing up Monahan. With 5 to go it was on. Ovitt was pressuring the leader from every angle. Out of turn 4, with 2 laps to go, Ovitt challenged low again. They were even coming out of turn 4 and side by side on the front stretch headed under the white flag. Ovitt cleared Monahan as they headed out of turn two and went on to the checkers. A technical infraction was found on the 35 of Ovitt post race. The win and $1000 purse was awarded to Shawn Monahan. It was a well deserved win for the defending Champion . The 55 was gridded 8th and made his way to the winners circle. Shawn as always, was all smiles as EXiT Realty's Derick Beatrice awarded the Ice Breaker Trophy. Competition Director Marshall Hurley commented on the Ovitt infraction. "These teams are truly All-Star teams. Most of these racers race multiple divisions and multiple tracks. The infraction was an oversight encountered in the change over between series." " This was a battle of two skilled drivers that thrilled the fans and will be remembered for a long time. We'll see Alby back in victory lane real soon, count on that. " Some drivers that deserve an honorable mention included Bear Charette who had a great run throughout most the race but was sidelined with an engine failure late. He seemed to be cruising up front David Pearson style, and waiting for a late race opportunity to win. One of the true young stars of racing in New England, Jimmy Renfrew Jr. finished where he qualified. Chad Baxter had one of the sharpest looking cars in the field. It is fast too. He made his way from 9th starting spot to 3rd. Paul Lallier had a great run and finished 4th. Paul Williams rounded out the top 5 in the 13. For complete 375 Pro Sportsman results go to the Results & Standings page and click the race date at the top of the points column for the Ice Breaker. Thanks go out to Thompson Speedway for hosting such an entertaining weekend. Photo credit goes to MLB photography. Couldn't make it to the Ice Breaker. Below are both the 375 Pro Sportsman and Pro Truck races captured by Robert Bagot. 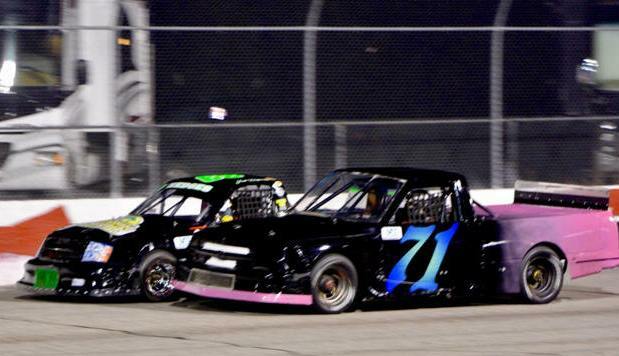 The EXiT Realty Challenge 375 Pro Sportsman and Pro Truck teams will head to Thompson Speedway April 5th,6th and 7th to take part in the 45th Annual Ice Breaker. Being included in the historic event that kicks off the New England Race Season is an honor in itself. For Challenge Teams a win here goes a long way in securing a spot in the Chase. Making the Chase comes with benefits. Naturally there is the recognition at the season ending banquet, but Chase rewards go beyond that. Each team that made the Chase last season has a guaranteed purse of $150 for each race they participate in this season. 375 Pro Sportsman drivers #31 Stephen Potter, #14 Rick Charette, #22 Scott Serydynski, #00 Jimmy Renfrew and #55, Champion Shawn Monahan all will earn a minimum of $150 dollars at every race in 2019, should they have a bad day. In the Pro Trucks #81ny Corey Coates, #15jr Gerard Giordano Jr, #3 Andy Lindeman, #29 Joshua Stringer and #90 Champion Allen Coates all enjoy that same benefit. The benefit continues throughout 2019 as long as they race in all of the races. In the 375 Pro Sportsman there is a new Sealed 602 contingency. For those that might not know, the sealed 602 engine is a lower price alternative for teams to use. Many like to build custom engines. Often those are at great expense. In an effort to keep racing costs down, use of the 602 Chevrolet engine is preferred. The highest finishing 602 at all ERC Sportsman events is guaranteed $200.00 provided that car has competed in all of this season's races to date. The ProTrucks have four different types of race chassis on track. For 2019 each division will be rewarded. Each event has a race within a race. The A/B Chassis is the base race chassis for race trucks nationwide. The C Chassis was originally based off Riverhead NY's rules, and allows those trucks to compete. 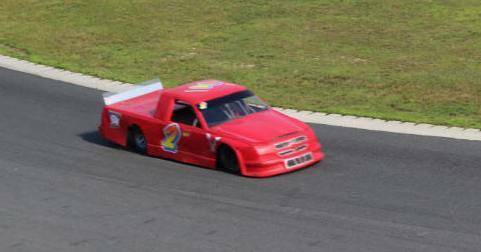 The D Chassis is for those that want to convert their Metric Chassis Street Stock to a truck. An extended cab body is all they need. The S Chassis allows Sport Trucks to compete. The highest finishing truck in each of these divisions will be guaranteed $250 minimum per event providing that truck has competed in all of the 2019 races to date. When more than 1 minimum applies, that teaam will be paid the highest one. All Photos on this website courtesy of mlb Photography. The New England short track off season's major story had to be the creation of the NHSTRA. Five tracks in New England banded together to unify rules. Ours is not to question why. It seems a project that is aimed to benefit the racer. Whether is does or not remains to be seen. One thing is for sure. If a team's season starts out a little off, and they want to try other tracks, now they can. Chassis Dyno - this is the main engine enforcement too at EXIT Realty Challenge events. Rear wheel hp is limited to 325 Rear Wheel Horse Power. There is a 10hp allowance. There is no issue here. All cars are equal. Weight - ERC Challenge rules measure only right side weight. 375's offer 602 Advantages designed to encourage using the less expensive option. Unsealed 602, and 603's are allowed with weight penalties. Heim joins are allowed for tie rod ends. 3 point suspensions are allowed at a penalty of 35 lbs to the right side. Treadwidth rule, crankshaft height and most other critical measurements are the same. "The NHSTRA rules are very closely aligned with EXIT's. The weights are within a few pounds. The 602 clutch rule was asked for by our teams. If it proved to be an unfair advantage, we will address it. If the series really wants teams racing with 602's, we need to listen to them. Otherwise they are never changing." explained Competition Director Marshall Hurley. 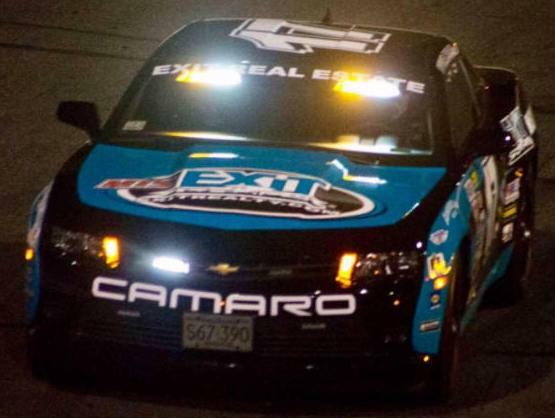 The fact is that any base street stock in New England is competitive with the EXIT Realty Challenge 375 Pro Sportsman. The goal is to have a few series races that bring drivers and teams from different tracks together. The 2019 375 Pro Sportsman Series gets underway at Thompson's Ice Breaker. There will be more information including the release of the online entry form over the next few days. January 26th the EXiT Realty Challenge 375 Pro Sportsman and Pro Truck teams made their way to X1 Boston to celebrate the 2018 racing season. Teams headed to the indoor Karting and function facility for a night that included racing with friends, family and crew, a dinner, and awards. Karting kicked off the event. Approximately 35 drivers competed in qualifying races to make their way to the Karting finale. The racing was like any Saturday night shoot out you might see at the short tracks in New England. When it was over it was Alby Ovitt taking the Checkers. After dinner it was time for Awards. The first to be recognized were all those who work behind the scenes to put on the EXiT Realty Challenge. Announcer John Gates has been dedicated to the Challenge from the start as is Don Wood of RAD Machine. Don's chassis dyno is key in keeping all of the teams even. Arthur Chartier and Bill Galloway from American Racer were recognized for supporting the 375 Pro Sportsman. The Challenge has two photographers, Michael Blackmar of MLB photography and Kenneth Brunell. Certainly all of the teams enjoy their coverage. EXiT Realty's Derick Beatrice was recognized for his efforts, including turning race events into total promotions. Fans actually had an opportunity to win a Camaro at some events. That is all Derick's work. George DeCoster and Aaron Brooks work tirelessly as flagman and pit steward. They keep the show rolling. There has to be paperwork and Lorraine Pard keeps that straight. Harold Churchill performed technical inspections all season. Handling 3 series is no easy task. The Director of Race Day Operations , Terri Churchill oversees everything on race day. The management team belongs to her. Together they processed over 100 drivers last season with ease. The show does not happen without their hard work. Lucas Leone kicked off the driver awards. Lucas finished as high as 3rd place at Hudson Speedway, and was competitive in every race he attended. The driver of the 1ne earned his spot as 2018 Pro Truck Rookie of the Year. Jim Thompson earned the Hard Charger award based on statistics. He was able to average improving four positions per event in 2018. Dave Koenig earned the Pro Truck "Iron Man" award. He persevered through some early misfortune. The 97 team made it to all eight events and by season's end was back contending for wins. Rick Ashlaw is known throughout New England for his eye catching #28 Pro Truck. What fans might not know is that Rick is just an awesome guy to be around. He was the 2018 most popular driver. Crew chiefs are responsible for the car and the team. Jariah Roderick was the 2018 Crew Chief of the Year for the 375 Pro Sportsman while Todd Stringer was the Crew Chief of the Year in the Pro Trucks. Crystal Serydynski was recognized for her work in representing the 375 Pro Sportsman in a positive light. She was the 2018 375 Pro Sportsman Social Media MVP. Making the EXiT Realty Challenge Chase is the first objective for most teams that compete. There are 5 positions. Each comes with benefits which include a cash award and banner on banquet night, and benefits in 2019. American Race Tire provides the points fund for the 375 Pro Sportsman. Hoosier Tires East provides the points fund for the Pro Trucks. Each team that made the Chase is also guaranteed a minimum of $150.00 in every WTC / EXiT Realty Challenge event in 2019 as long as they participate in every event. For 2019 the highest finishing division winner, provided he has attended each event, will be guaranteed $250.00. Any of the teams that made all of the races in 2018 that do not qualify for one of those Challenge plans are sill guaranteed $100 for any race they start, provided they have participated in all of the 2019 races to date. We want to thank both American Racer, and Hoosier Tires East for making all of this possible. 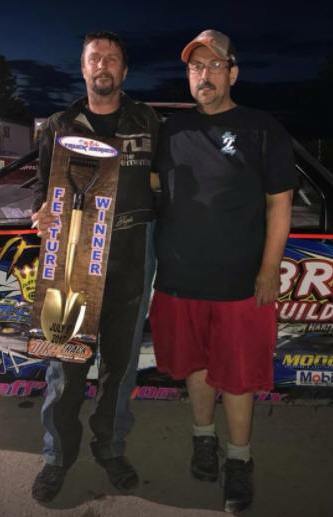 #31, Stephen Potter was awarded the Iron Man award for 2018 in the 375 Pro Sportsman. He finished 5th in the EXiT Realty Challenge Chase standings. #81ny, Corey Coates was awarded the Pro Truck Social Media MVP. He was 5th in the Pro Truck Chase Standings. #14 Rick "Bear" Charette was the Most Popular Driver in the 375 Pro Sportsman. Bear finished 4th in the EXiT Realty Challenge 375 Pro Sportsman Chase standings. The 15jr of Gerard Giordano Jr. was the C Division Champion. He finished 4th in the EXiT Realty Challenge Pro Truck Chase Standings. The two awards were accompanied with a check totaling $750.00 bringing the 15jr's team earnings to slightly over $3500 dollars for the year. The Stringer Racing #3 of 8 time Series Champion Andy Lindeman was able to finish 3rd in this year's EXiT Realty Challenge Pro Truck Chase Standings. He was awarded $900 for Hoosier Tires. Jimmy Renfrew Jr. put on a show in the Chase Race at Waterford. He was the 2018 Hard Charger of the Year, and finished runner up in the EXiT Realty Challenge 375 Pro Sportsman Chase standings. Josh Stringer also put on a show in his Chase Race. The 29 started dead last in the field as the Wild Card entry and carved his way to the front, 1 spot short. Second place in the Chase earned Stringer $1100 dollars from Hoosier. The Velvet Hammer, Shawn Monahan was the 375 Pro Sportsman EXiT Realty Challenge champion for 2018. Shawn had to use every bit of his home town advantage to secure the win. He also received the innovation award for taking an 18 year old $1800 dollar car out of the woods to compete. The two awards were accompanied by a banner, trophy and check totaling $1100.00 The awards for American Racer Tire brought Shawn's 2018 earnings to just over $3000.00. 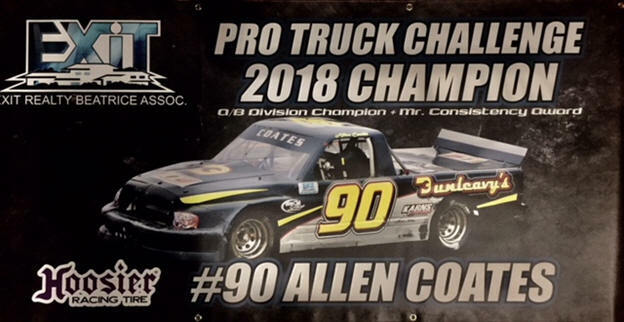 Allen Coates had a dominant year in the #90 Dunleavy Pro Truck. He was the A/B Division Champ. He won the Mr. Consistency award with an average finish of 1.5. He won 6 out of 8 including the Chase race. The titles were accompanied with a check for $2100 which brought Allen's 2018 Season earnings up and over $8500.00. The 2018 EXiT Realty Awards Banquet was a fun time for all. Over $9000 in awards were passed out. X1 Boston did a terrific time hosting by providing an awesome room, the Karting, and great food. None of this is possible without the help of two tire companies that invest quite heavily in your local racers. Special thanks go to Hoosier Tires East and American Racer Tires. A huge thanks goes out to Exit Realty. 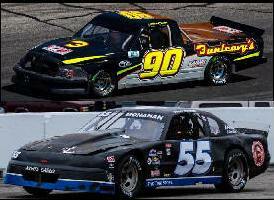 The Exit Realty ProTruck Challenge will kick off the season at Thompson Speedway's IceBreaker for both the 375 Pro Sportsman and the Pro Trucks. Exit Realty has some exciting things planned for racing fans in 2019 . Those announcements will be along soon so visit the website often. The EXiT Realty Challenge is the concept of Derrick Beatrice. The vision was to use short track racing in a big time way by offering contests above and beyond conventional racing for both the competitor and fan. The Challenge started preseason with a Challenge to 375 Pro Sportsman drivers to gather the most likes on Face book. At Thompson's Ice Breaker fans were challenged to pick the order of finish in the 375 Pro Sportsman race, and they could win a Camaro! The Pro Truck Challenge fastest qualifier was the first to be offered the "Back of the Pack' challenge. If the fastest qualifier gave up the pole and still won the race his winners check would double. These Challenges went on all year. It was a season of Challenges paired with exciting on-track racing. To cap of the exciting 2018 season and preview a little of 2019, the EXIT Realty Challenge fans, sponsors and teams will celebrate on January 26th. In the off season most racing divisions have some type of awards ceremony at a Hall. Our teams enjoy a good dinner and awards like the rest, but a little fun mixed in. For the second year in a row, X1 Boston will host the awards banquet at RJ Valentine's facility. 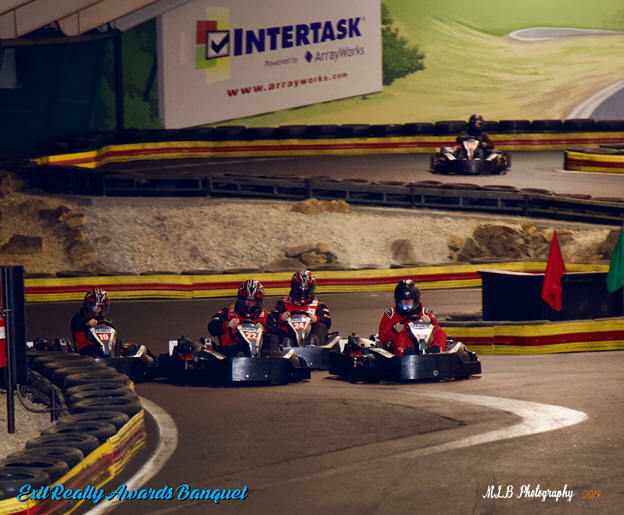 Located in Braintree MA, X1 Boston is a kart racing venue for corporate events and social functions, featuring two indoor kart tracks. X1 Boston provides a wide array of race-themed programming for events including off-site meetings, dinners, sales/staff meetings, trade shows, incentive events, rewards programs, team building, recruiting, and holiday events. All events are race-ready; with racing suits, helmets and karts provided. This fits our style! The 2018 EXiT Realty Challenge banquet will start out with Go-Kart racing . The Chase contenders will all be provided Go-Karts to race. Many guests attending the banquet will also be able to compete. There will be qualifying races and then a final. Fans and racers alike can get one more chance to beat the Champs. Following the Go-Kart Races the teams will get a break to change to their banquet clothes and then it is off to dinner . Awards will follow. The Chase Contenders in the Pro Truck and 375 Pro Sportsman series in attendance will receive cash awards. Others will receive recognition awards. Categories for awards this year include Rookie of the Year, Iron Man, Mr. Consistency, Hard Charger, Social Media MVP, and a special recognition for Innovation Excellence. The night is a celebration of what proved to be our best season ever. Fan's and racers alike are invited to celebrate all of the EXiT Realty Challenge team's successes, with special attention to EXiT Realty Challenge ProTour Champion. #90 Allen Coates and EXiT Realty Challenge 375 Pro Sportsman #55 Shawn Monahan. Tickets are 58 dollars. There is a limit of one hundred guests, so get your purchases in early. Tickets are on sale now . Just click the button in the left column and purchase yours today. The EXIT Realty Challenge 375 Pro Sportsman and ProTrucks concluded their seasons with exciting action packed Chase races in October. The ProTrucks battled first. Oktoberfest offered up the final chances to qualify for one of the 5 spots available. The heated truck battle featured a charge from the back by Andy Lindeman in his familiar 3. 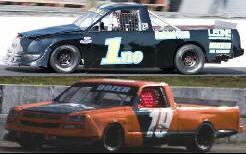 Lindeman wrestled the lead away from Allen Coates in his 90 Dodge late in the event. Lindeman led entering turn three. Coates laid the bumper to Lindeman's Silverado and moved the defending champ out of the low groove. Lindeman powered up the 3 and bounced off the wall in an attempt to grab back the top spot at the line. Coates was able to hold on for the win however Lindeman slammed in to the 90 and sent it careening off of the turn one wall. Coates walked back to victory lane. The fireworks set the stage for the Chase event at Thompson. The Chase, presented by Hoosier Tires East, at Thompson's World Series of Racing had the makings of a classic. On the pole was the 71of Jacob Perry. On the outside pole was the 29x of Joshua Hedges. The Championship contenders, #90 Allen Coates, #15jr, Gerard Giordano Jr, #3, Andy Lindeman and #81ny Corey Coates started in the back of the field. Wild card entry Josh Stringer started behind them. Stringer had the task of winning the event to be Champion, otherwise the Champion would come in order of how the 5 trucks finished. The charge from the back proved to be an exciting one. When the caution flew on lap 4 the 90 of Allen Coates was in 4th. Son Corey was in 6th and Josh Stringer had moved to the 7th spot. Giordano and Lindeman were still mired in traffic. The field was under green quickly. Perry was cruising out front while the Senior Coates followed in second. Corey Coates was comfortably in third. Josh Stringer made an daring 3 wide move. By midway he was in 4th. With just 10 to go Giordano ran 5th and Lindeman had quietly moved into 6th. Suddenly the 15jr exploded his engine. Flames curled out from both fenders as fire crews rolled. The season was over for Giordano Jr . There would be one restart to decide the Championship for 2018. The 71 of Jacob Perry paced the field with Allen Coates to his outside. Corey Coates had his Silverado in the second row inside of Josh Stringer. The 71 did not fire off well and Coates in the 90 powered into the lead with ease. The younger Coates followed along with Stringer in tow. For the final 3 laps, it was up to these 3 competitors to duke it out for the Championship. Battle they did. The younger Coates was able to get up to the rear wheel well on his dad. Coming to the white flag Stringer pulled under the 81ny but just could not complete the pass. They were side by side in the final corner. 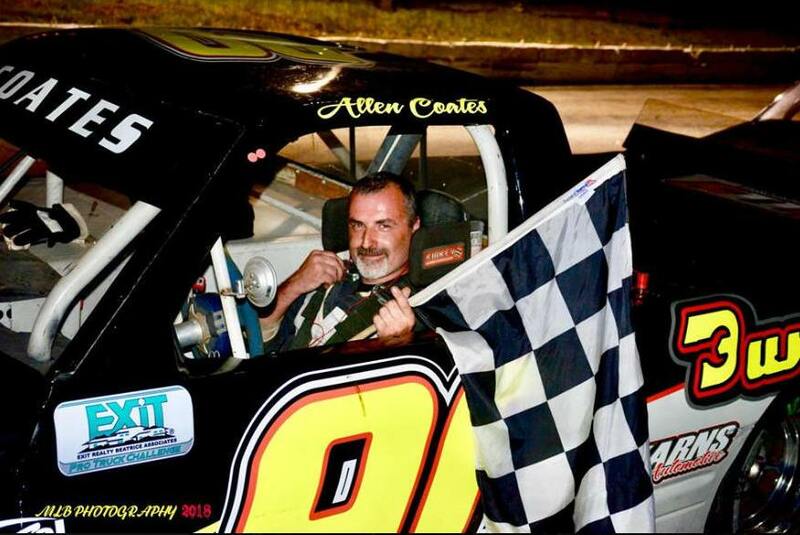 When they got to the flag it was Allen Coates Sr. that prevailed winning the race and the EXIT Realty ProTruck Championship presented by Hoosier Tires for 2018. There would be an adjustment to the finishing order after officials found a component on the 81ny that was not at specifications. Josh Stringer was awarded second place. Duane Noll, despite missing all of practice, finished third. Jacob Perry had an awesome run and held on for fourth. Defending series Champion Andy Lindeman rounded out the top 5. The finish moved Andy to 3rd in the final season standings. On the following weekend the EXIT Realty 375 Pro Sportsman headed to the Waterford SpeedBowl for their Chase race presented by American Racer Tires. The 22 team had been dominant in 2018 however their Dodge had been sold hey were there with a new #22 Monte Carlo that they had never run before. Shawn Monahan had a racecar that he had purchased in the off-season for a mere 1800 dollars. He was at his home track and he was there to prove it doesn't take a huge budget to contend for a Championship in he 375's. Jimmy Renfrew Jr. was on hand in the 00. Renfrew, at 15, is used to competing in the big shows. He had won a Granite State Pro Stock Series event earlier in the season, won the 375 race at Star, and was here to win a Championship. When we last saw the 31 of Stephen Potter it was literally flying through the air. He was also here to grab a Championship. His #31 Mustang looked awesome. The Wild Card entry was the very popular Rick "Bear" Charette known for his Monte Carlo with the bear claw on the side . Those drivers made up the rear of the field. Meanwhile up front fans had some true stars pacing the field. The 35 of Alby Ovitt won the pole. #7 Paul Newcomb timed in second. Crowd favorite Corey Hutchings timed in 3rd. The 87 of RJ Surdell rounded out row 2. Crystal Serydynski rounded out the top 5. Ovitt had a great start and pulled away early. #36 Corey Hutchings moved into second with Newcomb third. Newcomb worked his way back under the 36 and made contact, putting Hutchings into the turn 3 wall. Newcomb was placed to the rear of the field for the incident. The Chase contenders were heading to the front. On the restart Ovitt still had control of the field. RJ Surdell in the 87was on his outside. The #1 of Gerry De Gasparre Jr moved to 3rd. The first of the Chase competitors, Shawn Monahan in his 55 was 4th. The 31 of Stephen Potter met with misfortune as he was careened down into the infield taking him out of contention. Meanwhile up front Monahan and Renfrew were in 3rd and 4th. Much to the crowd's delight the he 15 year old Refrew hounded the veteran Monahan. The 00 pulled along side high. Sparks flew as the 55 jammed Renfrew into the wall. Renfrew went low. Monahan drove him into the grass. Renfrew pulled even into turn 1 on the outside on lap 22 but the yellow flew before he could complete the pass. It was the same frustration for Renfrew on the next restart. The field went green. Ovitt, Renfrew's teammate pulled away. Monahan moved to second and as soon as Renfrew pulled up on the outside, the yellow flew. On the restart the battle was reignited. With 4 to go Renfrew pulled all of the way under Monahan, but Monahan turned hard left knocking the 00 to the infield. Renfrew gathered things up and charged back. As the white flew the question was if Renfrew could recover and get to Monahan's last bumper because one thing was for sure, he owed him. Renfrew buried the 00 into turn 3 but was about 6 inched to short. Monahan sped away. The race winner was Ovitt. He was never seriously challenged. He has been New England's hottest driver all fall starting from last and winning the Street Stock National's and the "Back to the Front" bonus. He won at the World Series and now he was in victory lane at the Waterford. For Monahan it was all about the Championship. He had won the Championship at Thompson and now had the EXIT Realty 375 Pro Sportsman Championship presented by American Racer Tires in hand. Renfrew finished second in the season standings. Both drivers have vowed to renew the battle next season. RJ Surdell in his #87 finished 4th showing he has what it takes to contend for a title. The #22 of Scott Serydynski finished 5th in the race. That was good enough for 3rd in the season standings. Rick Bear Charette ran well enough to finish 4th in the Chase. Stephen Potter rounded out the top 5. Next up for the EXIT Realty Pro Trucks and 375 Pro Sportsman are rules meetings and then the Awards Banquet in January where teams will celebrate their accomplishments for 2018 and learn what 2019 has in store. Lee USA Speedway's Oktoberfest is up next for the EXIT Realty Challenge October 6th. The EXIT Realty Challenge event is by far the most important race of the 2018 season to date. The race marks the return of the ProTrucks to Lee USA for the first time since 2015. With that return the series will cap off Saturday's racing with The Shirley Lindeman Memorial. Shirley was the mother of 8 times series Champion Andy Lindeman. She was the friend and fan of every driver that competed. She loved the series and the series competitors loved her. 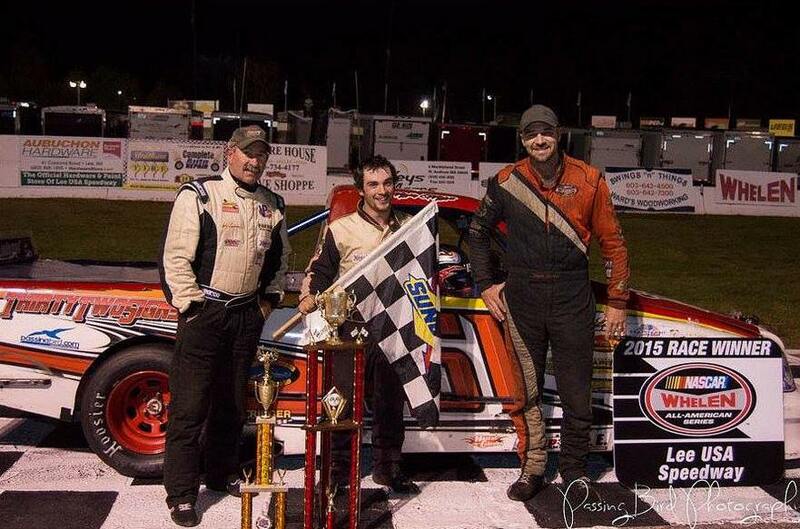 Bert Ouellette won the Shirley Lindeman Memorial race the last time it was held at Lee. Bert described the win as the biggest and most emotional win of his career. Many of the Pro Truck competitors carry remembrances of Shirley on their trucks throughout the year. One thing is for sure. 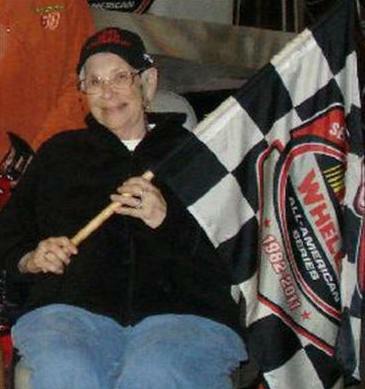 Shirley would have enjoyed seeing all the Pro Truck teams battle it out for a Chase berth. That is why we save the final race to qualify for the Chase for her Memorial event. The Chase is a one race playoff to decide the Champion. 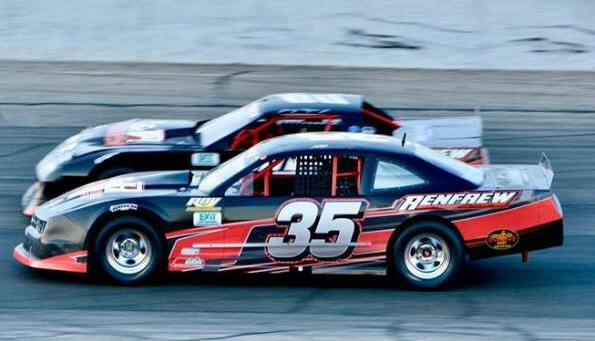 Five drivers will be placed at the back of the field in the upcoming race at Thompson Speedway's World Series. Drivers need to win during the season to get in. 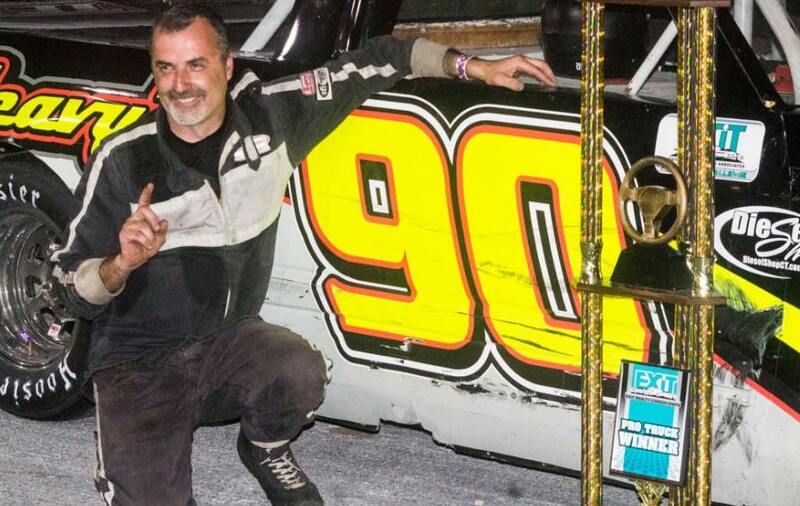 No one has done more winning this season than Allen Coates in the Dunleavy number 90 Dodge. Allen has 4 wins. He is locked in to a berth so fans might think he could cruise into the playoffs but he has plenty of incentive to snag yet another victory. If Allen, his son Corey, Gerard Giordano Jr. or Andy Lindeman win at Lee, Corey Coates will stay qualified for the chase however, there are other drivers that can knock Corey out of his Chase spot. A victory by (29) Josh Stringer, (80) Mike Cavallaro, (97) Dave Koenig, or (94) Tony Naglieri would bounce Corey out. An additional threat is the 28 of Rick Ashlaw. A victory by Rick could also mathematically eliminate Corey. The Chase has one Wild Card spot that is determined by the highest points total without consideration of wins. If he does not win at Lee, Josh Stringer and his 29 team will be the Wild Card entry. If Josh wins, then the battle is on for that Wild Card between (80) Mike Cavallaro, (97) Dave Koenig, and (94) Tony Naglieri . Cavallaro has a 7 point advantage over Koenig and holds an 18 point lead over Naglieri. Mike Cavallaro has been a show in himself. He has pioneered bringing the S Chassis into Challenge racing. The S Chassis is based on the newer style Sport Trucks. Mike is 6th in points just one position short of making the Chase. He has surprised everyone by staying in contention for the Championship all year. 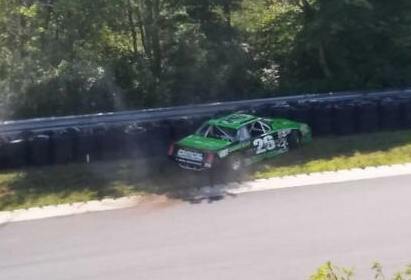 Veteran EXIT Realty Challenge Pro Truck competitor Rick Ashlaw has not been the luckiest of drivers this season. He can still make the Chase, but has suffered through engine gremlins and mishaps. The 28 team has been struggling to get back into the top 10 in points. Rick remains a fan favorite. His F-150 keeps the Ford fans happy with its wild pain scheme. Allen Coates often assists his fellow competitors. Coates worked with the 28 team over the last few weeks The rumor is Rick's Pro Truck has a new experimental Coates chassis setup. Don't be surprised to see the 28 challenging for the win at Lee. The series has a couple of young guns to keep your eyes on too. Lucas Leone in the 1ne finished 3rd in the most recent event at Hudson Speedway. The 15 year old Connecticut racer is smooth and calculating, races like a veteran and is certainly fast enough to win. Another up and coming star is Dylan Cabral in the 19. "Dozer Cabral" has found his way to victory lane in everything he has ever driven. He finished 7th in his first EXIT Realty Challenge Pro Truck event ever. Whether you are watching the battle to get into the EXIT Realty Challenge Chase, keeping an eye on the young guns, or interested in seeing great side by side Pro Truck racing action, the Shirley Lindeman Memorial at Lee USA Speedway's Oktoberfest is surely expected to be a great race. For tickets or additional information on Oktoberfest go to www.leeusaspeedway.com or call 978-462-4253. Robinson Wins Into the Chase at Hudson ! 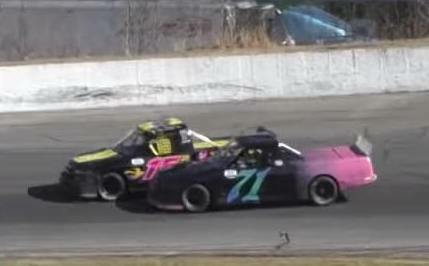 The 5th Annual John Swain Memorial race at Hudson Speedway proved to be a battle of wills. Teams fought sweltering temperatures. The event featured a special format. Teams competed in 3 Challenge events. The overall win would go to the team with the best average finish after all 3 races. The pre-race buzz was more about who was not there as opposed to who was. Missing from the field was Corey Fanning and Steve Dickey. There were fireworks between the two in the first event at Hudson. Even more stunning was the absence of the points leader. Scott Serydynski's Dodge had been sold leaving a driver having a banner year without a ride. Another Chase contender, Bear Charette, had his #14 Monte Carlo loaded and ready to go only to have an emergency prevent his team from competing. The door was wide open for a new winner and maybe some new faces in the Chase. Jimmy Renfrew Jr. had his 00 there. The 15 year old was fresh off of an EXIT Realty Challenge win at Star Speedway. 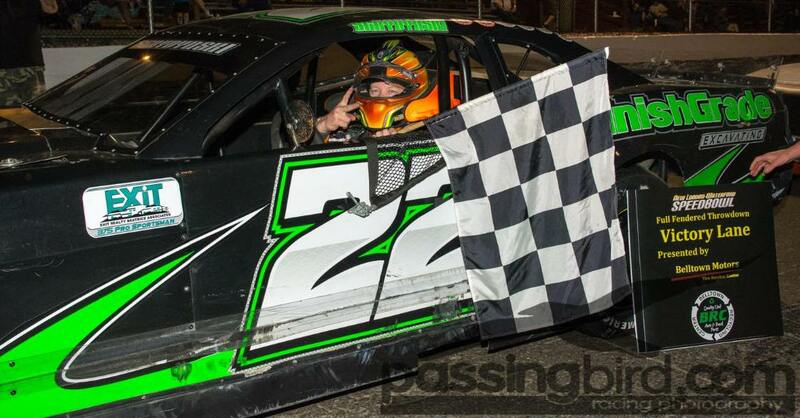 He also found victory lane at the Street Stock event at Claremont the night before. Renfrew was fast as always. The 00 won his heat, and dominated the first Challenge race. Crystal Serydynski Jr. could not run down the 00 and finished second. Matt Robinson grabbed the last podium spot and finished 3rd. The field was inverted for Challenge race 2. The 73 of Joe Tetreault led the field to green. Steve Kennaway was able to grab the lead from the outside pole. As the field powered down the back stretch on lap 4, the 31 of Stephen Potter slid high out of turn 2. 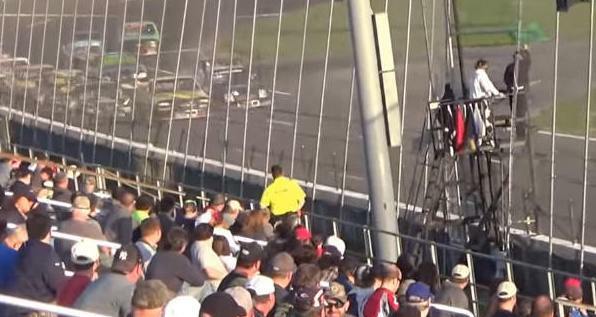 The black Mustang climbed the tire barrier and flew nose down in spectacular fashion. The 31 landed behind the barrier , flipped over and settled on it's roof. The field was placed under red flag conditions. Potter emerged from the incident unscathed and not the least bit rattled. He would say " If I was sure the motor was full of oil, I would rip the fenders off and get back out there." Stephen credited his crew for building a rock solid safe car that he expects to be ready for the finale at Waterford. The field was realigned and back to green after a slight delay. On the restart the 38 of Steve Kennaway, the 55 of Shawn Monahan and the 51 of Bryce Howard paced the field while Renfrew, Robinson and Serydynski battled their way to the front. Renfrew worked his way behind Howard by lap 15. Pressure to win mounted as the laps counted down. Howard did away with Monahan first . He reeled in Kennaway shortly after. As the leaders headed down the back stretch on lap 20 the 51 looked low for the lead while the 00 tried to sneak even lower under him. Howard and Renfrew then tangled on the backstretch sending the 51 spinning and causing the events second caution. Both cars were moved to the rear. Unfortunately the 51 of Howard headed to the pits. The final restart still had Kennaway on the point but this time the challenger was Matt Robinson. The leaders ran side by side while Crystal Serydynski looked for a way by. The 00 of Renfrew was charging from the back. He still had sights on a win. With 2 to go Robinson wrestled away the top spot. Crystal Serydynski, in the 8 Camaro moved the 38 and settled into second as the leaders took the white flag. Renfrew followed through to finish third. The final 10 lap Challenge was a straight up dash. The 99 of Matt Robinson led the field to green with the 8 of Crystal Serydynski on his outside. Renfrew was inside row 2. The 33 of Frank L'Etolle jr. was outside row 2. Robinson got a great start while Crystal fell back. Renfrew's 00 was glued to the 99 and the battle was on. Just to keep the battle honest, the 33 of L'Etolle kept his Monte Carlo right there just in case either of the leaders might slip. As the 00 went high, the 33 went low. Renfrew needed to protect and challenge. It was a valiant effort by Renfrew. He tried multiple lines but could not find a way by. Matt Robinson, in his 99, pulled off the win. Renfrew would have to settle for second. Frank L'Etolle Jr. was third. The overall standings were based on the average finish. Matt Robinson was the official winner of the John Swain Memorial. Jimmy Renfrew Jr. was awarded second and Crystal Serydynski rounded out the top 3. The field for the EXIT Realty Challenge Play-Off race was also set. The Champion of the season is decided by taking the Chase qualifiers and putting them to the back of the field in the final event. The contenders will race their way to the front, and where ever they finish in relation to each other is how they finish in the Championship. There is also a Wild Card entry. That contender has to win the final event to be Champ. The Wild Card qualifier for this season is #31 Stephen Potter. He has finished as high as third at Waterford in the past. With a little bit of luck the 31 Mustang could find themselves in Victory lane. Jimmy Renfrew Jr. qualified for the Chase with a win at Star Speedway. 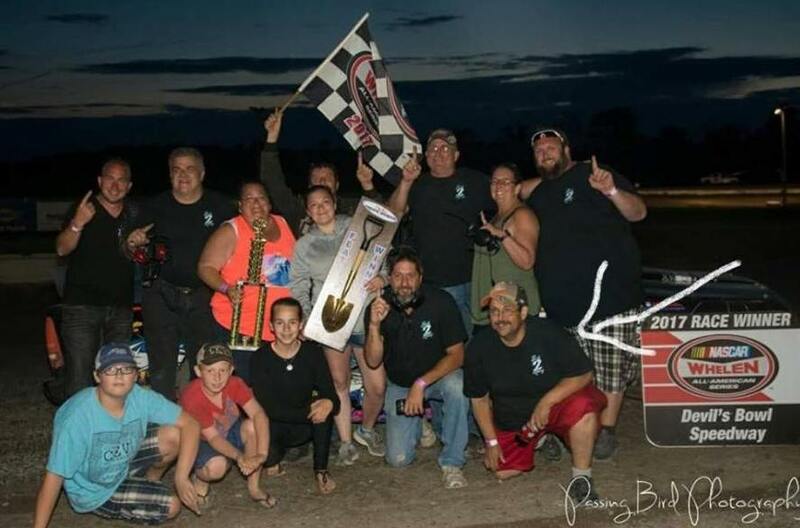 The talented 15 year old driver from Candia New Hampshire has an impressive resume that includes a recent win in the Granite State Pro Stock Series. To earn that victory Jimmy wheeled the 00 past every car in the field. Jimmy Renfrew Jr. would like nothing better than to to the same and bring that Championship trophy North. Matt Robinson surprised everyone but his team when he won at Hudson. He is surrounded by a crew with years of experience on the short tracks and always has an awesome handling machine. The Speedbowl will be new to Matt. The team talked it over and they feel they just might be able to pull off the upset. Look for a strong run from the 99 in the Chase Race. The Velvet Hammer, Shawn Monahan has to be a favorite to win it all. Waterford is home turf for the 55 team. 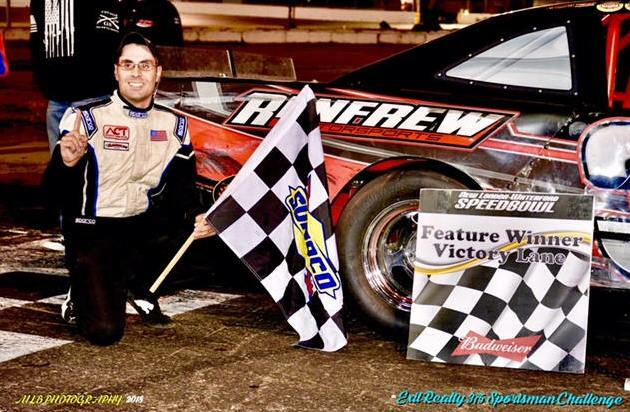 Monahan wrapped up his second Championship in a row at Thompson Speedway last week. He still has room to fit the EXIT Realty Challenge Championship trophy on the mantel. Shawn qualified for the Chase on the road course and does not have a circle track win. Never the less Shawn plans on the Championship Trophy staying in Connecticut at his shop when the battle is over. Scott Serydynski has clearly been the dominant EXIT Realty Challenge driver this season. Many teams were ready to simply hand over the trophy. Unfortunately the 22 team was thrown a curve ball when their Dodge Challenger was sold just before the Hudson event. Scott is scrambling to secure another car for the Championship event. If he does find the right car, his bid is all about making the new car perform like the Dodge. Is he still the favorite? Maybe. The first alternate for the Chase is Frank L'Etolle jr. If any of the Chase contenders do not race, then he will be the Wild Car. The 33 team won the first ever 375 Pro Sportsman event. They finished second to the 22 team in a visit to Waterford earlier this year. The only reason the 33 team is not in the Chase is they could not attend the road course. Had they made the start , they were in . They certainly have to be considered favorites for the win should they not make the Chase. Either way the 33 just might be in for a great day at the SpeedBowl. * For complete race results from the John Swain Memorial click here. * For EXIT Realty Challenge Chase standings click here. The John Swain Memorial Race takes place this Monday, September 3rd at Hudson Speedway. It is an honor for the EXIT Realty Challenge competitors to race in this truly meaningful event. John Swain was a competitor in Enduro and Rookie Stock races. He was a friend to all and was lost to cancer after a lengthy battle. The EXIT Realty Challenge Series both use a Chase format to decide their Champion. Monday's race is the last chance to qualify for the 375 Pro Sportsman Challenges Chase. There are 4 berths and a wild card. Here is who to keep an eye on. #22 Scott Serydynski: An old racing saying is "I rather be lucky than good". This team is both. The team has 3 wins and was first to lock up a Chase spot. In the opener, Shawn Monahan and Ryan Waterman tangled on the last lap. That is all Scott needed to score win number 1. At the Speedbowl the 22 was just good. He had a dominating performance and cruised to win number 2. In the last trip to Hudson, Scott had a combination of luck and skill working for him. He was fast but he was going to have to find a way by the 11 of Corey Fanning and the 12 of Steve Dickey to win. Those two drivers ended up in a skirmish. Scott was able to cruise to victory #3. He is locked in the playoffs but hungry for more wins. Watch the 22 try for win #4 Monday. #55 Shawn Monahan. : Shawn was a contender at Thompson. The 55 Monte Carlo missed the set up at Waterford. When it came to Thompson's road course , Shawn seized the opportunity to win into the Chase. He is locked in. The championship race is at the Waterford Speedbowl, a track that Shawn has countless laps on.. The team would like to have some momentum heading back to their home turf. There is no better way to build momentum than a trip to victory lane. #00 Jimmy Renfrew Jr. is only 15 but drives like cagey veteran. He won the last 375 Pro Sportsman event at Star Speedway after battling his teammate Alby Ovitt. The Renfrew team runs a limited schedule. If they run Monday's event, then Renfrew Jr. has to be considered the favorite. #14 Rick "Bear" Charette: The 14 with the big bear claw on the side has been able to maintain his Chase berth throughout the season. Bear does not have a win yet. Win at Hudson and he is in. If the 00 of Renfrew does not make the Hudson event he is also locked in. If there is a repeat winner he is in. If there is a new winner, then Rick will have to go in via the Wild Card position. The Wild Card qualifier gets in by points. If he has to compete for that spot he needs to finish within 7 positions of the #31 of Stephen Potter. With so many avenues open to qualify for the Chase Bear has a great chance of racing for the Championship at Waterford. #31 Stephen Potter: Stephen Potter has made every race and run well in his #31 Mustang. The easiest route for Stephen to qualify for the Chase is to win. If someone new that is Chase eligible wins, he will have to compete with the 14 for the wild card spot. Otherwise he holds a 31 point lead over the next competitor, Corey Fanning. Fanning is not expected to compete in Monday's event. 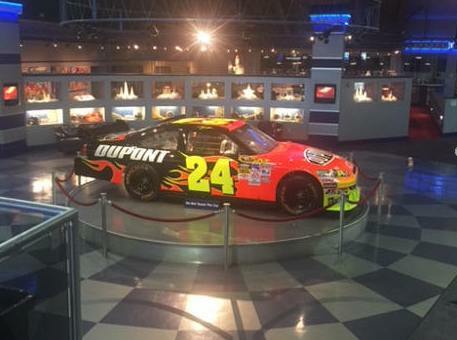 There are a number of other cars that could qualify for the Chase despite being back in the points. 11 Corey Fanning, 33 Frank Le'Toile jr. and 74 Joe Arena all have scenarios that could get them in. The 375 Pro Sportsman division is in its first year. The season was expected to be just exhibition races until EXIT Realty and American Racer Tires stepped in. The winner of the Chase playoff will get a cool grand for their efforts. The top 5 positions are all eligible for cash awards. We'll know who the Chase Teams will be after Monday's event. 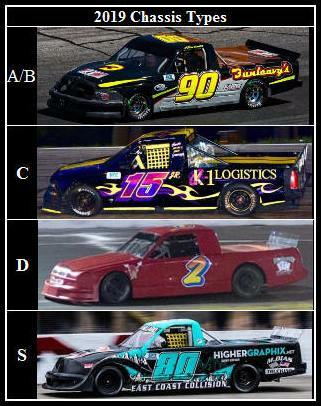 The EXIT Realty Challenge Pro Trucks will also be in action. We'll have coverage of the trucks posted soon. Racing gets underway at 1:03 pm. Come join us if you can. The Race to the Chase is On in New Hampshire! Coates, Serydynski and Renfrew score wins to get in. The EXIT Realty Challenge Northern Swing includes two events at Hudson Speedway, a visit to Star Speedway and a visit to Lee USA. When the swing is over, the stage will be set for the Challenge races in the 375 Pro Sportsman division and the Pro Trucks. We are halfway. Let's take a look back at two action packed weekends of racing. July 29th teams headed to Hudson Speedway. EXIT Realty had a hospitality tent full of Clients enjoying a beer tasting, courtesy of White Birch Brewery in Nashua, and a pig roast as they watched from high above turn 4. A full house of race fans also filled the stands. Qualifying races set the fields. Corey Fanning bested Joe Arena in Heat Race 1 to grab the pole position. Frank Le'Toile jr dominated his Heat race to snag the outside pole. 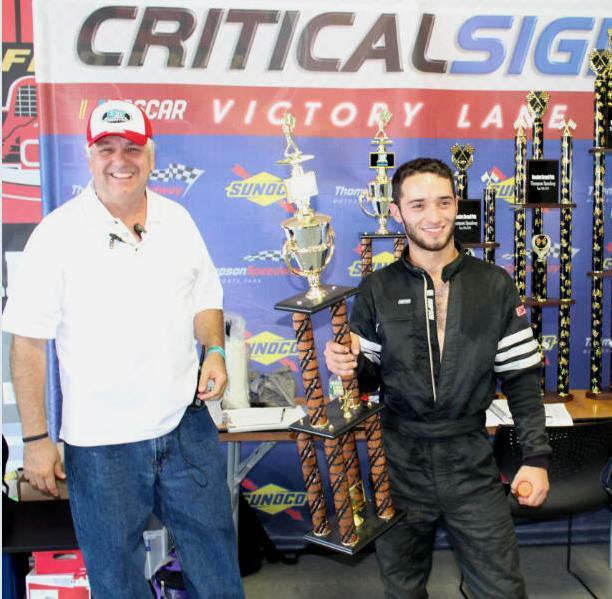 In the ProTruck qualifying, Tony Naglieri was able to win his qualifying race and the pole. Allen Coates won his qualifying event and the outside front row spot. The 375's at Hudson: From the pole Corey Fanning took control of the race early as 33 Frank Le'Toile and 74 Joe Arena battled for second. Notables back 5 rows were the 19 of Steve Dickey and points leader Scott Serydynski in the 22 Dodge. They charged instantly splitting the traffic. The key point in the race was a restart approximately two thirds through the event. Pole sitter Fanning in the 11 and Steve Dickey in the 19 Camaro were battling it out. Points leader Scott Serydynski had worked his way into third. Fanning lead the field to the lap 50 restart. Dickey nosed the 19 ahead on the back stretch. When the pair made it back around to the start finish line Dickey clearly was the leader. The 19 cleared the 11 entering turn 1. Fanning worked the nose of his11 under the 19 and moved Dickey back into the outside groove. The pair were side by side by turn 3. In turn 4 Fanning moved back into the lead. Dickey was not pleased with being moved on the previous lap. He caught and slammed into Fanning's Monte Carlo as they entered turn one sending the 11 spinning. Fanning's car came to a rest in between turns 1 and 2. He could not get the 11 rolling and lost three laps during the caution. Dickey was moved to the back of the pack for the retaliation. The incident handed the race to Serydynski who went on to score his third win of the year. Fans also enjoyed the runs of #11 Michele Fushpanski and #8 Crystal Serydynski. The two female race drivers were as high as second and third during the event. Crystal won the Bob Cat Logging Company Hard Charger Award for her run at Hudson. The EXIT Realty Challenge 375 Pro Sportsman return to Hudson Speedway on September 3rd. Katelyn Osborne Short Track Racing Videos. 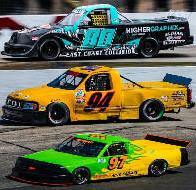 The EXIT Realty Challenge Pro Trucks return to Hudson Speedway on September 3rd. The Pro Trucks at Hudson: The story of the ProTrucks this season revolves around the Chase. Lots of drivers want in. Corey Coates is but has low season points. Should a team other than the ones holding spots now win, they would most likely bounce Corey out of the playoffs. Long Island's Tony Naglieri in the 94 lead the field to green. Points leader Allen Coates used the high line to power into the lead in turn 4 . We were underway for 100 laps of Pro Truck action. This race featured a half way caution. Up front at half way it was Allen Coates in the 90. Coates led the field to the restart on lap 51. Josh Stringer in the 29 Silverado had hounded Coates throughout the first half and started outside pole. Gerard Giordano Jr. was in third. Dave Koenig worked his way to 4th in the 97. In fifth was Bill Bernard. He had worked his way from the last starting position and was certainly a contender. A spin on lap 86 turned out to be the key moment of the race for yellows breed yellows, and after it the field would be jumbled. Coates led the field to green. Giordano spun his tires on the green and Jim Boyle in the 2ct pulled along side. Koenig's 97 was inside of Boyle. Giordano turn left not realizing the 2 was there. The contact knocked Boyle sideways. Koenig was able to power back under Boyle, but entered turn three too strong and slid up the banking. Despite contact from the 97 Boyle moved into second. Koenig was trying to regain control of the 97 . He turned across the nose of the 29 where contact was made. As Koenig tried to accelerate out of the corner his left rear tire went down spinning the 97 in front of the field. The 32 of Dave Simpson made heavy contact with the 90jr of Allen Coates jr . Corey Coates was also caught up in the wreck. On the restart Coates opened up a lead. 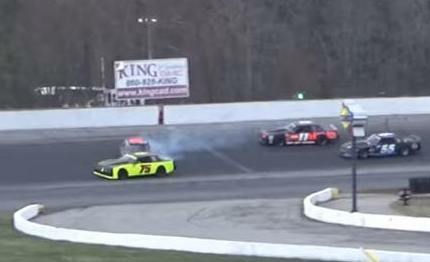 Boyle was stuck on the outside and got freight trained until Koenig went too low off of the inside the track. He then slid the nose of the 97 up into Boyles left rear causing the 2 to spin. The field was under caution one more time. Allen Coates was able to power away on the final restart on his way to the checkers. Officially Coates led all 100 laps. The win was the second for the 90 team in 2018. The 375's at Star Speedway: The 375 Pro Sportsman headed to Star Speedway August 4th. Weather threatened to cancel the event, but promoter Bob Webber Jr. made the call and ran a full racing card. Fans want racing Saturday nights at Star Speedway, and it is a tradition. If they can get the show in they do. Teams time trialed for qualifying positions. The home track advantage paid off as two entries from the Renfrew stable held the front row. Alby Ovit had his #35 2015 Camaro on the pole. The #00 of Jimmy Renfrew Jr. time trialed in on the outside row. In practice the Renfrew team tested one brand against the other. Jimmy Renfrew Sr. made the call to put the American Racer 970's on the 35. That is all Alby needed to set fast time. The top 3 qualifiers were on American Racer tires. Ovit led the field to green only to be slowed by the first caution when local favorite Michele Fushpanski was taken out by a first lap accident. The14 Monte Carlo of Bear Charette hopped wheels when he made contact with Fushpanski's #1% Camaro in turn 3. The incident was also costly for Charette. He was able to return later, but many laps down. Ovit took another shot at the restart. The race was quite entertaining as the top 3 of Ovit, Renfrew and Serydynski battled nose to tail throughout the first half. As the laps clicked down the 00 of Renfrew applied more pressure. Renfrew looked low. Ovit ran lower and lower. The 35 was doing everything he could to block any inside move. He left the entire top groove open. The tight line made for slower lap times. When the 00 stuck his nose up to the rear wheel of the 35 in between turns three and four, Ovit could feel he was here. He turned low coming out of turn 4 to block. Renfrew maintained his line on the front stretch. Ovit turned sideways entering turn 1 and chased his car across the track to get control. Renfrew maintained his low line took over up front. The 22 of Serydynski followed under on the next lap. Ovit did not get back in rhythm until he had dropped to third. Once settled in he was able to pass Serydynski over just a few circuits. He had the fastest car late but was unable to chase down his teammate. The 35 would have to settle for second tonight. There was no catching Jimmy Renfrew Jr. in the 00 once out front. A 1-2 finish for the Renfrew team was quite impressive. The win was also another for American Racer Tires. Serydynski was happy with third considering it was his first visit to Star Speedway. One other race note : The 00 was the first of the Northern teams to have his car taken to the Chassis Dyno. That is how the 375's make sure all teams have relatively equal horsepower. The process is new to those that regularly run on the Southern New Hampshire ovals. The 00 passed with a few horsepower to spare. The Pro Trucks were also on the August 4th race card at Star Speedway. Time trials set the field. Corey Coates in the 81ny Chevrolet won the pole by fractions of a second over his father Allen. On the drop of the green Corey showed tthe fast time was no fluke as he set sail pacing the field in a manner that made all watching think he was unbeatable. One person was not convinced. That was Allen Coates. Slowly but surely the 90 of the senior Coates reeled in his son. The key moment of the race was on lap 40. The 81 was slowing inexplicably. Allen Coates sensed the change in pace and rolled his 90 Dodge along side of the 81 between turns 3 and 4, and led by the time they reached the start finish line. Soon it was apparent that mechanical woes had slowed Corey's Silverado. A few laps later it was Giordano Jr. in second . The 81 continued to slip back though the field and out of contention. Coates had the field covered up front and was cruising when the caution flew on Lap 47. The 3 of Andy Lindeman turned completely sideways coming out of turn 4. 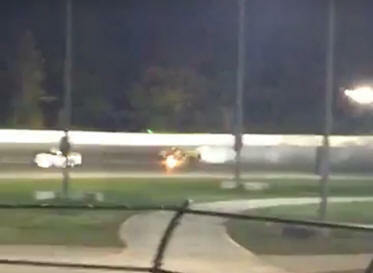 As Andy tried to gain control, his Silverado caught the 97 of Dave Koenig in the right rear. Both went sliding off track in turn one. The yellow was out. Spotters did not see the yellow fly. The leaders continued to race on the back stretch. The 15jr. of Giordano and the 2ct of Jim Boyle tangled. Boyle was launched into the tires on the back stretch. Both drivers were sent to the rear. Coates handled the final restart with ease and went on to the win. It was his second win in a row and third of the season. Joshua Hedges had a great run with the #4 F-150 and finished second. After going down a lap early, Joshua Stringer worked his way to 3rd. Robert Murphy in the 82 scored the highest finish ever for a S Chassis Sport Trucks and finished 4th. Jim Hopkins rounded out the top 5. 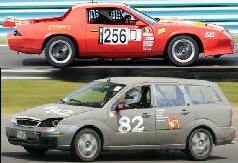 Both series are in action at Hudson Speedway Monday September 3rd. Both series decide their Champion by a one race playoff in which all the Chase contenders must start in the back. For the 375 Pro Sportsman, the race at Hudson is their last chance to qualify. 22 Scott Serydynski and 55 Shawn Monahan have Chase Spots locked up. Provided he races at Hudson, Jimmy Renfrew Jr. also has a Chase spot locked up. If the winner at Hudson comes out of those 3, then the remaining two playoff positions will be filled by points. If we have a new winner that qualifies, Stephen Potter and Bear Charette will be racing for the Wild Card berth. The EXIT Realty Challenge playoff race will be held at Waterford in October. The EXIT Realty Challenge Pro Trucks have Hudson and Lee left on the schedule before their playoff race. The 90 of Allen Coates and the 15jr of Giordano are locked into berths. The remaining two playoff berths and the wild card berth are still up for grabs between Andy Lindeman, Corey Coates, Josh Stringer, Mike Cavallaro, Dave Koenig and Tony Naglieri. It would be very tough to pry either Lindeman or Stringer out of a spot. On the other hand, Coates does not want to see any new winners or he could be outside looking in. The EXIT Realty Challenge Playoff race is part of the World Series at Thompson Speedway. The EXIT Realty Challenge heads to Hudson International Speedway July 29th. The EXIT Realty Challenge ProTrucks will be making their annual appearance. The EXIT Realty Challenge 375 Pro Sportsman will be at the track for the first time. Entries are pouring in for both events with good reason. Hudson Speedway is the second oldest oval in the North East, and remains at the top of the list for entertainment when it comes to value for your racing dollar. Both EXIT Realty Challenge divisions have Chase type championships where teams fight for a playoff spot and the entire season comes down to a battle between the contenders in the last event. There is no better place to fight for a spot in that battle than Hudson Speedway. Leading the ProTruck division to Hudson will be Gerard Giordano Jr.. The 15jr team has made the Chase playoff every season. Giordano powered his way to the top spot in this season's Chase with a win on the Thompson Road Course June 30th. Gerard is a second generation driver racing for a family team. The Sr. Giordano was an awesome racer back in the day and certainly prepares a potent race truck for his son. Erika, Gerard's mom, does her part as team manager and spotter. When it comes to Championships, Andy Lindeman has been unstoppable. The 3 Silverado, which is a tribute to the late Dale Earnhardt Jr. runs well at Hudson. Lindeman has been victorious in his last 2 trips to the Speedway. He'll do his best to take the points lead back from Giordano. Currently Lindeman is in a qualified Chase berth. On ovals this year the story has been the Coates family. Corey Coates was victorious at Thompson's Ice Breaker driving for Dangerous Dave's racing 81ny Silverado. 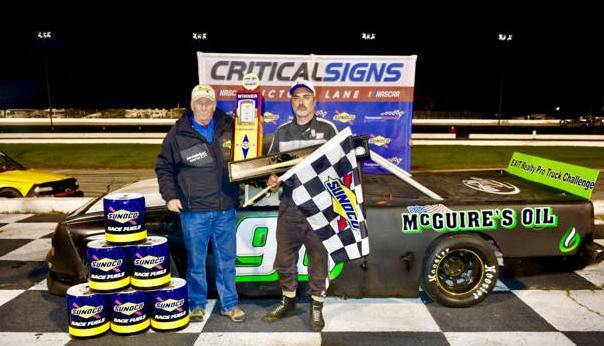 Corey's dad, #90 Allen Coates evened the 2018 win score card up at Stafford Speedway with a trip to victory lane of his own. Both drivers were struck by mechanical gremlins at the last event . Expect this father son battle resume inn full force at Hudson. #29 Joshua Stringer and #2ct Jim Boyle are battling for the Wild Card spot in the chase. Josh holds the sport currently by a slim 3 point margin over Jim. A win by either team would bounce Corey Coates out of his Chase spot. Traditionally the event at Hudson Speedway has been pivotal and determining our final chase competitors. 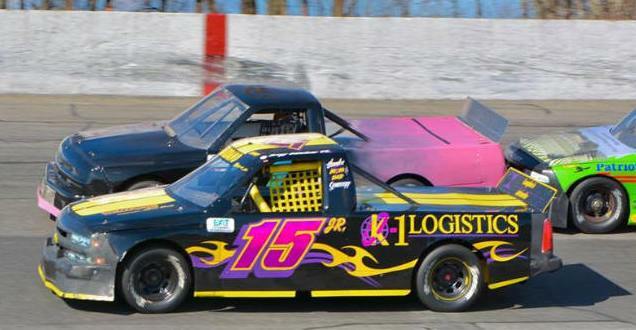 The Pro Sportsman battle at Hudson Speedway is expected to be epic. The series has a cast of touring drivers that mix it up with the locals in cars with a rule set that takes the advantage away from those owners that simply can buy speed. Cars are regulated by stock chassis and a rear wheel horsepower rule. Since they all have the same relative power, drivers and crews rule in the 375 Pro Sportsman division. For this event, the 375's have a lot on the line. On everyone's mind is the Championship. 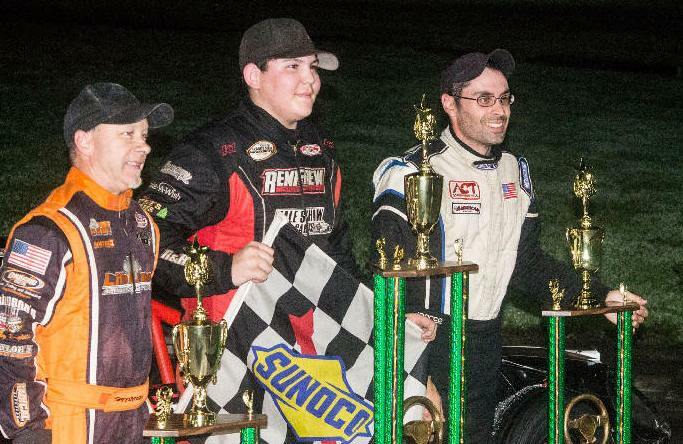 With two of the next three at Hudson Speedway, and one at Star speedway, a local competitor could win and find themselves in the Championship battle. It is a "win and in" format. The winners share of this purse is $1000. The highest Hudson regular has a $300 bonus coming to them. Then there is the work of assistant race director Mike Robinson. He is selling lap sponsorships to anyone would like to help support the show. From businesses to local fans wanting to shout out a good luck to their favorite driver, lap sponsorships are available for $25.00 per lap. They usually sell out quickly. The program can add as much as $1875 to be paid directly to the teams. To sponsor a lap email mh@racingnews.org . There is one more huge incentive to find your way to victory lane on the 29th. 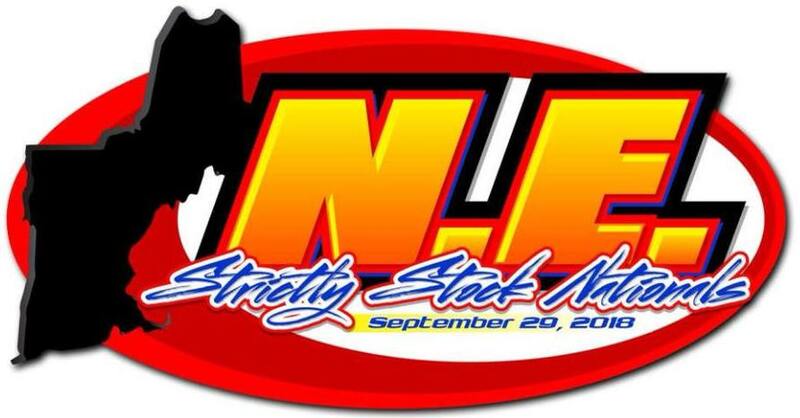 Bob Webber Jr. has organized the NE Strictly Stock Nationals September 20th at Star Speedway in Epping New Hampshire. The race pays $2000 to win, and has bonuses from lap sponsorships. There is over $25000 dollars in total up for grabs. The winner of the Hudson 375 Pro Sportsman Race will be a guaranteed starter in that event. That is huge for anything can happen during qualifying. Teams want that guaranteed spot. Leading the 375's into the Hudson Exit Realty Challenge event is Scott Serydynski Sr. In the opener at Thompson Speedway he was hanging in the lead pack when the 55 of Shawn Monahan and the 75 of Ryan Waterman got together. The contact allowed Scott to sneak by on the last lap for the win. In the second event, At the Waterford SpeedBowl, the 22 Dodge Challenger of Serydynski was on rails and returned to victory lane. He was one of two teams using the American Racer 970 tire. It was a dominating performance which he hopes to repeat at Hudson. He is locked into the Chase with his two wins. Shawn Monahan in his #55 Monte Carlo grabbed a win and a Chase berth at Thompson's Road Course. He is just as competitive on the circle tracks. 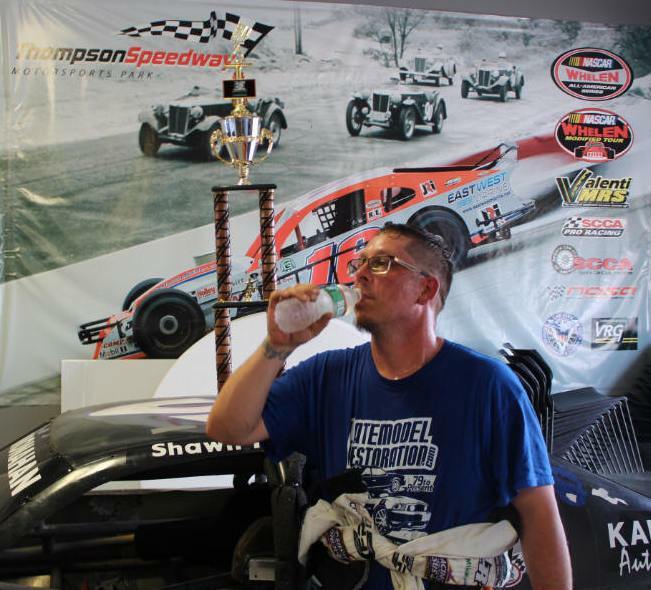 Monahan is the reigning Champion at Thompson Speedway's oval. Known as the "Velvet Hammer" he is expected to battle up front for the entire 75 laps. This event features two of New England's finest drivers that just happen to be female. In the 8 Camaro will be Crystal Serydynski. Crystal is a veteran driver that wins. She runs all of the marquee events. Her home track is Seekonk Speedway. Local fans all know the 1% of Michele Fushpanski. She is another veteran driver. Michele grabbed a victory at Star Speedway earlier this season. Both Star and Hudson are home turf for Michele. Both drivers have to be considered as favorites to win. There are a handfull of drivers vying for a win that are in the Championship hunt but have yet to secure a Chase berth. Rick Charette, Corey Fanning, and Stephen Potter are all in Chase spots by points. Their road course performances have put the trio ahead. Should none of the three win, their Chase race fate will be decided by points. Another driver to watch is the 33, Frank L'Etolle jr. He won the first 375 race ever last season. He has already raced at Hudson this season tuning for this event. It is likely his only path into the Chase is to win. The12 Camaro of Steve Dickey is also expected to race. Fans might note this entry carries the logos of Lee, Star and Hudson Speedways. 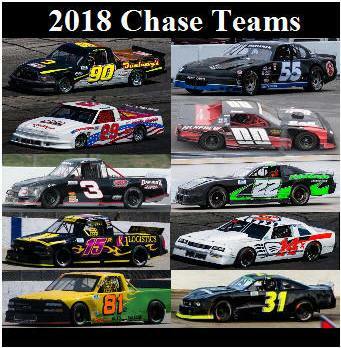 Make your way July 29th to the Bosowki Properties / Synergy Sign Works Double Header to watch an All Star cast of drivers in the Pro Trucks and 375 Pro Sportsman compete in Hudson Speedway's EXIT Realty Challenge event. Hudson Speedway is located on120 Old Derry Road, Hudson NH, 03051. For additional ticket information including ticket sales call 603-759-1432 or visit their web site by clicking here. When the Road Course event was planned for the 375 Pro's and the Pro Trucks , no one expected mother nature to join into the Challenge. The lefts and rights of the circuit combined with grueling heat last Saturday may be the toughest race many of the teams have ever had to survive. Morning practice had temperatures in the high 80's. A surprise entry, Duane Noll, in his extended cab Silverado was the first to suffer mechanical woes. Fans were disappointed when bad luck struck and the Red 2 was loaded back on the trailer without competing however Duane managed to still have a smile. "I got to cross another thing off my bucket list," said Noll. "I raced on a road course." The Stringer Racing Silverado's were also struggling to keep their transmissions cool. Despite the issue both trucks were able to take the green flag. The EXIT Realty Challenge Pro Trucks and the EXIT Realty Challenge 375's were on the track at the same time, lined up approximately a half lap apart. The ProTrucks, let by the 80 of Mike Cavallaro , charged down the super long main straight and headed to turn one to kick off the racing. Jim Boyle in his #2 Silverado grabbed the early lead and looked absolutely untouchable cruising out front for the first seven circuits. Boyle won the Stock Car portion of this event when it was known as the Stock Car Road Race Challenge in 2015. Having a ProTruck win on the same course would look nice on the resume, but it was not to be. The hot track proved a bit to slick , and Jim spun out of the lead. Gerard Giordano Jr. inherited the lead at this point and never looked back. Giordano has plenty of experience on Thompson's Road Course . He has been known to pilot a BMW there for car owner Fred Heinly. In his mirror there was only one driver to be concerned with. The points leader, Allen Coates had switched from Dodge to a Chevrolet Silverado for this event. The 90 was the fastest truck in practice, and even faster in the race. Half way through the event Allen set a ProTruck track record time of 1:23.526, erasing Frank Dumicich Jr. from the record books. Unfortunately the rear end gear started to heat up as Mother Nature chimed in with on track temperatures over 118 degrees. Coates slowed as he nursed his Silverado to a 7th place finish. Josh Stringer was still battling transmission overheating problems. Despite the woes, Stringer turned laps faster and faster as the event wore on. His fastest, was the last lap only 2 tenths off Allen Coates EXIT ProTruck Track record. The 29 was faster late, but there was no shot of catching the 15jr. cruising out front. When it was over it was Long Island's Gerard Giordano Jr. in victory lane. Stringer had to settle for the runner up spot. Early leader Jim Boyle grabbed the third and final podium position. The race for the Chase also heated up. Allen Coates, Gerard Giordano Jr., Andy Lindeman and Corey Coates are currently in the Chase spots. After the mechanical setback Saturday, Corey is vulnerable to being bounced out of the Chase, should another team win their way in. The tie breaker when teams are tied with wins is the points total. The battle for the Wild Card chase entry is also a hot one. Josh Stringer leads Jim Boyle in those standings by a mere 3 points. The 375 Pro Sportsman were also battling the heat Saturday. In practice, #26 Steve Kennaway set fast time, and a new track record for Sportsman cars on Thompson's Road Course with a lap of 1:25.863. Shawn Monahan and Scott Cestodio were also pacing within 2 tenths of a second. Once the feature was underway it was the 14 of Rick "Bear" Charette out front and holding off the pack early . The 26 of Steve Kennaway eventually wrestled the lead away under the bridge heading onto the NASCAR portion of the Speedway. Monahan and Cestodio were able to take advantage of the open lane and follow. The next segment was a knock down drag out battle between Kennaway and Monahan. Kennaway drew the short straw in this one and ended up against the tires. 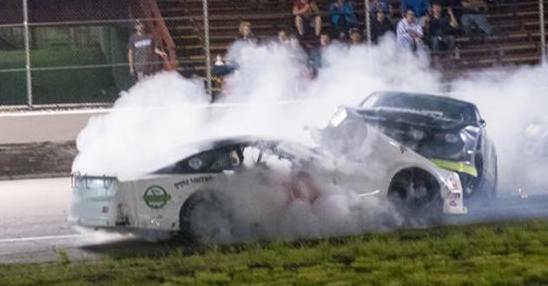 Kennaway would say later, " Racing for the lead with Shawn Monahan sure was fun not giving each other more then a inch but I got into the turn a bit too sideways and spun." The race from here was down to a two car battle. Monahan was fast and out front. #8 Scott Cestodio was chasing in second. The 8 was plenty fast setting a new track record with a lap of 1:25.188. Cestodio had the fastest car on track but was out of time. Monahan held on for his first 375 Pro and Road Course win. The win all but locks Shawn Monahan into the Chase race. With only 2 drivers victorious this season, points have Rick Charette's 14 team in the 3rd Chase slot. Corey Fanning is in 4th. The heat was unbearable on track. Stephen Potter climbed out of his car with heat exhaustion. Safety personnel did an awesome job taking care of the driver of the #31. The valiant effort was good enough to move Potter into the Wild Card spot in the Chase standings. water after winning the road Course Challenge. EXIT Realty Challenge drivers head to Thompson Speedway next as they are part of the show at the Bracket Grand Prix. In 2015 Josh Vanada introduced the Stock Car Road Race Challenge that brought stock cars back on the road course. The Challenge is back! 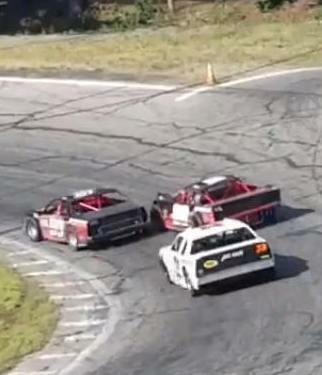 The original Challenge had the North East Mini Stock Tour, Thompson Legal Mini Stocks, New England Truck Series, and North East Street Stock Tour compete. "Josh has always been one to think outside the box." commented competition director Marshall Hurley. "Our 375 Pro Sportsman are based on his original Street Stock Tour. Racing is changing and his event was just ahead of its time. " The EXIT Realty Challenge Drivers are the most versatile in New England Racing. The Pro Trucks and 375 Pro Sportsman have raced on oval tracks with surfaces of dirt and asphalt, with lengths ranging from just under a quarter mile to a half mile. As aforementioned the road course is not new. They do it all on chassis that are based on production vehicles. EXIT Realty Challenge drivers have an "Anytime, Anywhere" attitude. No one could represent that attitude better than Jim Boyle. In 2015 he won the Street Stock Tour race. This time he will be in his Pro Truck. Jim won the ProTruck event on Dirt last year. He finished the ProTruck Season with a win on Thompson's half mile. He ran National Street Stock events at Dillon Speedway in North Carolina and Bristol Tennessee earlier this year. By the way, the Bracket Grand Prix has a 6 hour endurance event after the Pro Truck race. He'll have a car entered in that too. The hottest 375 Pro Sportsman driver this season is Scott Serydynski. His #22 Dodge Challenger was able to pull off a last lap pass to win the season opener. He followed that up with a dominating run at Waterford. Meanwhile, on the ProTruck side, the Coates family has all the headlines. Corey Coates won the opener at Thompson. Allen, Corey's dad scored the win at Stafford. Both series use a chase format to win. The road course may open a door for a new team to grab a win. 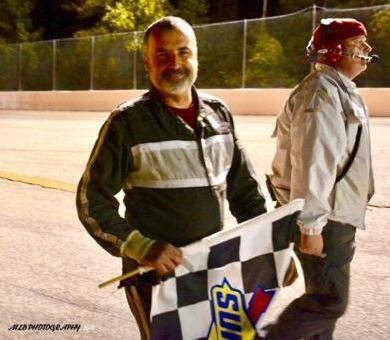 Long time New England short track driver Bill Bernard will make his series debut on the road course. He has SCCA experience there in a Ford Mustang. Could a new comer like Bill steal a win? "The road course at Thompson is especially fun." explained Bill. "It has some challenging reverse camber corners. Getting around the mountain you better stay hard right because you are carrying a lot of speed and may get airborne." Rick Ashlaw will have his #28 Ford F-150 that is always a fan favorite at the event. "It is neutral territory. I am excited to run on Thompson's Historical Road Course. They have been racing here since the 40's. The race is also a unique opportunity to sneak into the Chase. That may happen too." This is also the earliest race of the season The teams will practice at 9:00am and race at 10:00. Although they are racing and scored in separate events, both divisions will be on the track at the same time. The 375 Pro Sportsman will be paced by the EXIT Realty pace car one half lap ahead of the trucks. The practice is common in road racing. The great news is most of the drivers are the stars of their local tracks, and will have plenty of time to make their event due to the early start. Not all are headed to other tracks though. Some will stay for the 6 hour Bracket Grand Prix Endurance Event. Any production based car with a safe cage is legal, so a number of short track racers are prepping their mini stocks or x cars, and putting together teams to run. Some view it as a payback for their crews for all they do, while others just want to get running on a road course off of their bucket list. As for the Bracket Grand Prix, expect one of the closest road course races ever. Teams figure out what Bracket their entry belongs in. "It is a pursuit race" says Hurley. " The rules allow any team to be competitive. A Ford Focus wagon has the same shot as the winged Camaros . It sets the stage for a variety of cars and drivers competing." The finish is guaranteed to be entertaining. The Bracket Grand Prix featuring a special appearance by the EXIT Realty Challenge Pro Trucks and 375 Pro Sportsman takes place June 30th.. Gates open at 7am. A full day of non-stop action gets underway with practice at 9am. Tickets are $35.00. 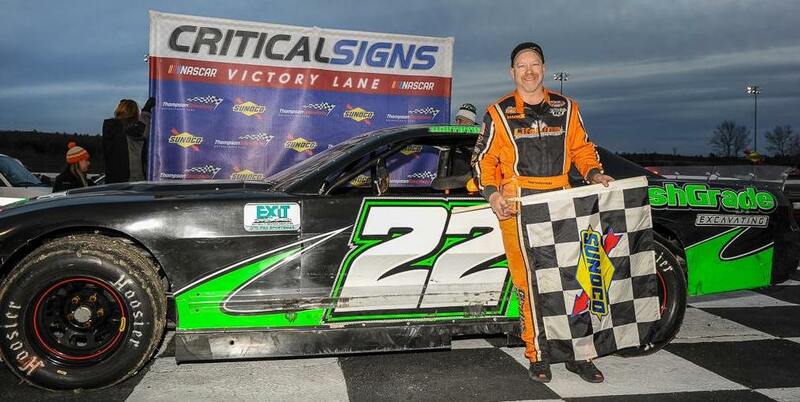 Round 2 of the EXIT Realty 375 Pro Sportsman Challenge took place Saturday night as an All Star field of 375 Sportsman drivers competed as part of the Waterford SpeedBowl's Full Fendered Throwdown. American Racer is the official tire of the EXIT Realty 375's. Team's may run other brands. The SpeedBowl's event would be the first opportunity to find out if they truly are as fast as advertised. Frank Le'Toile Jr. set the fastest time in practice with a lap of 16.758 seconds. For this event's qualifying two heat races determined the starting lineup. The #22 of Scott Serydynski Sr. was able to win the pole position with a victory in qualifying race #1. Frank Le'Toile Jr. backed up his fast time in practice with a victory in qualifying race #2. American Racer was the first to "double up" by being the tire on both race winners. The Throwdown feature event also had a special format. Serydynski and Le'Toile made up row one. The 14x of Bear Charette and the 11 of Corey Fanning made up row two. The 30 of Anthony Kohler and the 55 of Shawn Monahan lined up in row three. Serydynski moved into the lead early with Le'Toile in tow. By lap three the top three had pulled away. Bear Charette and Shawn Monahan battled side by side until the 30 of Ant Kohler pilled into Bear's 14x, knocking him sideways. Monahan took advantage and motored into third. The fireworks continued with Kohler. Stephen Potter, in the 31 ducked low and ended up climbing over Kohler. Both cars spun to the infield. The 31 of Potter was able to continue. Kohler, visibly upset, threw his helmet at Potter in frustration. The SpeedBowl Wrecker crew cleared the track quickly and racing was back underway. On the restart the front row remained the same. Corey Fanning lined up with Shawn Monahan in row two. Bear Charette and Corey Hutchings now were in row 3. Fanning worked his way forward to take sole possession of third only to have Monahan give the 11 a shot in the rear in turn 3. The contact knocked Fanning's 11 into the high groove. The 55 snuck under . Fanning was having none of those type of tactics. He returned the favor in between turns 3 and 4 on the next lap. Monahan dove sideways in the high groove while the 11 motored right on by. While all the commotion went on behind them, first and second place Serydynski and Le'Toile took advantage of being the only two race cars on the new American Racer 970's . They put on a show cruising away to the checkers. Le'Toile won the 375's first race ever and Serydynski won at th Ice Breaker. Both cars are capable of winning anywhere. With a superior tire they were untouchable. Le'Toile followed the 22, but never was able to get in position to make a pass. Fanning held on to third. Monahan cruised to fourth and Bear Charette scored another top five. In victory lane it was the beautifully prepared 22 Finish Grade Excavating, Taylor's Garage Dodge Challenger doubling up and scoring a second win of the season. The win locks the 22 in a Chase Spot. He will be one of five racing for the Championship when the EXIT Realty Challenge returns in October. American Racer Tires doubled up. First and second place were on their 970's. The top 4 cars all doubled up with double digit numbers. The top 4 were 22, 11, 33, 55. The battle for the Chase Spots is in full swing. Corey Fanning's great run in the 11 moved him into second. Shawn Monahan's 55 is holding on to the third chase berth. Bear's 14 team is solidly in the 4th slot. If the Chase Playoff Race was tomorrow, Corey Hutchings' 36 team would be in the Wild Card slot. In the Track Challenge, Seekonk Speedway leads. The series moves to Thompson Speedway's Road Course next. All Photos courtesy of Passing Bird Photography. Click here to view the race video. The EXIT Realty Challenge ProTrucks headed to Stafford Springs Connecticut to cap of the first day of "Sizzler Saturday". Under sunny skies 14 trucks took to the half mile. Corey Coates looked untouchable as he rounded the speedway at 22.204 seconds. Practice ended the day for a special driver in the felid, Brazil's Junior Turcetti. The throttle stuck on his #28ma Silverado. The hit was hard enough to place Junior in the Speedway's Concussion Protocol, ending his day. EXIT Realty Challenge ProTruck Qualifying was done by heat race. Andy Lindeman cruised out front in the 3 to earn the pole position. Corey Coates earned the outside pole position for his 81ny with his second place finish. Allen Coates placed his #90 Dodge 3rd. Gerard Giordano Jr. and Jim Boyle rounded out the top five. Soon is was EXIT Realty Challenge race time. Lindeman's Silverado carries a paint scheme that honors Dale Earnhardt Sr. Fans always react with excitement when the 3 is out front. On the initial start the track itself was slippery. The outside groove had more grip and as the green fell, Lindeman's tires spun. Corey Coates was able to move to the front. After the completion of a lap yellow flew. The 80 of Mike Cavallaro and the 67 of Jon Zoller slid in turn one. Both trucks were fine and the field was gathered for the restart. Action resumed with the rolls reversed. Coates, with warm tires was able to get a bit more grip, however Lindeman pulled ahead on the front stretch. Coates was able to fight back low through turns one and two. The senior Coates, Allen followed along. Lindeman was forced to settle into third. Giordano was able to move the 15jr into the 4th position on the following lap. Back in the pack Josh Stringer and Dave Koenig were having a battle of their own. The 29 wanted by and used his bumper to move the 97 spinning Dangerous Dave. The caution was out for the second time. Stringer's 29 looked to be a contender for the win early. The task of earning a win would become much more difficult as he was moved to the rear of the field. 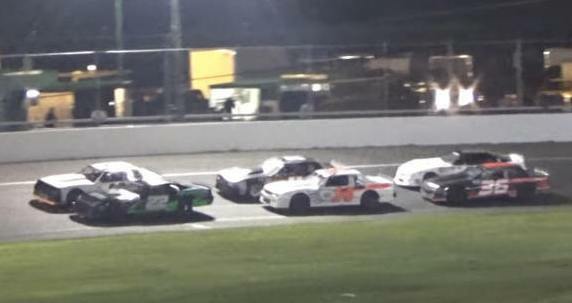 The field was gathered up for the restart, this time with Allen Coates on the outside of his son. The younger Coates had the shifting linkage jam at the most inopportune time. Corey eventually got the 81jr into 4th gear, but lost momentum. Allen. in the Dunleavy 90 took over in first. Lindeman moved to second. Coates recovered in 3rd. Boyle moved the 2ct into fourth. Jim was racing with a heavy heart. This was the first event since losing his brother Charlie. The race was dedicated to Charlie McMullin. At half way Allen Coates 90 Dodge was cruising in the lead. Son Corey had worked his way back to second. Two trucks were on the move. Gerard Giordano had side by side battles with Boyle and Lindeman. He was in third. 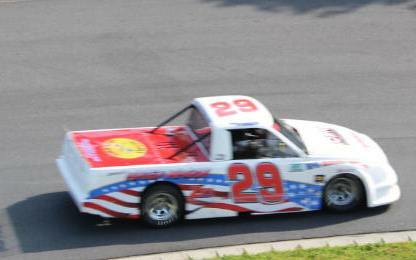 The other truck that was on rails was the Stringer Racing 29. He had moved from last to 6th. Allen Coates simply cruised to the win. Giordano was able to moved into second, and closed late, but ran out of time to make any type of challenge for the lead. Josh Stringer was able to move into the final podium spot competing a great charge from the back of the field. After two events the Coates vs Coates battle is in full swing. "My son is talking so much smack, he wasn't beating me today" said Allen in victory lane. The driver of the 90 Dunleavy Dodge pulled out all the stops to get his first Pro Truck win at Stafford including calling on a few lucky charms. In the list of acknowledgments Coates thanked Joey Ferrigno "cause he told me this fire suit has a lot of wins, so I borrowed it today. .....I am pretty happy for him letting me borrow it." Gerard Giordano fought carburetor issues throughout the event. Thanks to an awesome handling truck prepared by his crew chief, Gerard Giordano Sr., he was able to lock down the runner up position. " I want to thank EXIT Realty and Stafford the track because I love this track. This tack is insane and fun too drive." 3rd place Josh Stringer explained his great run with just a few words, "The truck was on rails of the start" explained Stringer. Josh also thanked the Boyle family. "This race was for Charlie . This race, even for third place, is dedicated to Charlie." Josh Stringer is engaged to Jim Boyle's daughter, Allison Boyle and considered Charlie McMullin part of his family too. For EXIT Realty ProTruck Challenge point standings after Sizzler weekend click here. For the EXIT Realty ProTruck Sizzler Video Click here. Copies in disc form are available from Robert Bagot. Happy Birthday Charlie! We miss ya. If you follow the EXIT Realty Pro Truck Challenge , you know of Jim Boyle and his 2ct Silverado. The truck itself is always sharp looking. The team uses mechanical skills and a great crew where others might spend thousands to achieve success. The crew is made up of family members and friends. There is always great food in the trailer and smiles all around. 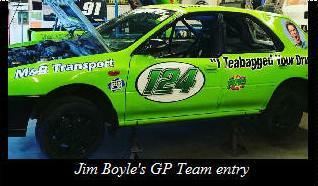 Jim Boyle was intrigued last season with one particular event. The Pro Trucks were off to Devils Bowl for a race on dirt, and the 2ct team planned on winning. They made the trip to Vermont for practice. The event was special to a lot of teams. Frank Dumicich Jr, owner of Teddy Bear Graphics in Long Island, made a special trophy. The race was a lane swapping battle between Dave Koenig and Jim Boyle. The 2ct found their way to victory lane. These events take an astronomical effort by all involved. Hundreds of hours are invested. Some events just turn out perfect. This event was everything competitors want a race to be, especially in victory lane where the 2ct team celebrated. Certainly this night was special. In that crew, celebrating with Jim was Charlie McMullin, Jim's brother. Charlie truly enjoyed everyone. You can just see when someone belongs. Charlie was always happy to be interacting with Boyle's crew. Charlie enjoyed the adventure win or loose. Any outcome would be fine long as he was there. The EXIT Realty Pro Truck Challenge drivers compete on the track. Off track, there is an extended family. Charlie McMullin is the model of how those family members should be. He went to the race to be with friends, enjoy the competition , enjoy his family and team with his brother. There is no doubt this night was all about Charlie and Jim. Sometimes the guy that is supposed to win seems to for reasons we could never foresee. That was the case at Devil's Bowl Speedway last July. Earlier this month Charlie was hospitalized. This week he was lost to illness. Please join us at this Saturday's Stafford Speedway Spring Sizzler as we have one more night all about Charlie and Jim. This weekends EXIT Realty Challenge Pro Truck race is dedicated to Charlie McMullin and all like him that are part of the racing family and just happy to be with us. It's not the outcome, it's the journey. We offer our deepest condolences to the Boyle family. We will miss Charlie. We are sure he is watching over as we journey on today. For more information on the 47th Annual NAPA Auto Parts Spring Sizzler, or to order tickets, contact the Stafford Motor Speedway track office at 860-684-2783 or visit us on the web at www.staffordspeedway.com. WTC is proud to announce that American Racer is now the official tire supplier of the 375 Pro Sportsman Challenge. The American Racer 970 is the official tire. It will be available through Dave Lind Tires. American Racer will also keep with the Challenge theme and provide a few Challenges of their own. The American Racer Dash for Cash will be offered starting with the 375 Pro Sportsman event at the Waterford SpeedBowl May 26th. The contest is offered to any competitor that was unable finish in the top 10 in the prior EXIT Realty 375 Pro event. Of those competitors, the team that finishes highest , will receive a $250.00 bonus. For our next event, those teams are Anthony Kohler, Troy Waterman, Mike Palin, Kyle Gero, Randy Waterman, Tom Shea, Ryan Linneham, Jim SIlvia, John Hanafin, Frank L'Etolle Jr., John Bercham, and Jordan Pearson. To be eligible they will have to race on the American Racer 970's. American Racer will also fund a Chase for the EXIT Realty 375's. Qualifying for the Chase will be identical to the EXIT Realty Challenge Pro Truck division. The total Chase fund will be generated by tire sales. The minimum payout regardless of tire sales for 1st will be $1000. Expect significantly more. Andy Lindeman pocketed a cool $1800 for his Chase Championship last season in the Pro Trucks. The 375's may exceed that. A lot will be on the line when the series returns to the Waterford in the fall for the Chase deciding event. Sportsman racing is all about economical competition so teams will still be allowed to run their own track tire or the American Racer 970. Teams that purchased the Hoosier 970 for the Ice Breaker will still be allowed to run them through the next 3 events, however no new 970's will be allowed. Team's that have new Hoosier 970's and raced at Thompson Speedway may exchange them for new American Racer 970's. Anyone that witnessed the Ice Breaker event at this season understands that the 375's are actually a Sportsman All Star event. "The racing has been outstanding" commented competition director Marshall Hurley. "The 375's have already created their own fan base. American Race Tire, and Bill Galloway understand how to build a touring series. Having a tire manufacturer directly involved is vital to our growth. " The partnering of EXIT REALTY, and American Race Tire provides unlimited potential for Pro Sportsman racing in 2018. Corey Coates Victorious at the Ice Breaker! 4-7 The EXIT REALTY Challenge ProTrucks kicked off their season at Thompson Speedway's 44th Annual Ice Breaker Saturday. Group qualifying sets the field for New England's fastest race trucks. When time trials were over it was Gerard Giordano Jr. setting the fast time with a lap of 22.800 seconds. With that time he had a choice to make . He could start the race from the pole position, or he could take the EXIT Realty Challenge and give up that spot and start last. If he could win from last he would increase his winners share from $1000 to $2000. The lure of the money was not enough to give up the pole position. The 15jr opted to start from the pole. Soon it was time for the much anticipated race. Giordano's 15jr Silverado was joined in the front row by Corey Coates in the Dangerous Dave's Racing 81ny. Jim Boyle and Josh Stringer lined up in row two. Allen Coates rounded out the top 5. Despite the traditionally cold weather, a fine crowd was on hand to watch as the final feature event of the day got underway. Starter George DeCoster waived the green as the leader approached turn 4, but there was trouble with the start. Giordano felt Coates had jumped the start and left early. The 15jr did not accelerate and the field passed on both sides. Coates charged off into the lead only to spin exiting turn 2. The yellow was out. With less than a lap complete both front row trucks were now relegated to the rear. Last year's World Series winner Jim Boyle and Josh Stringer inherited the front row for the lap 4 restart. Boyle jumped ahead on the front stretch, but Stringer took advantage of the momentum of the high groove of turns 1&2 and motored off of the high banks and into the lead on the the backstretch. The field settled down to single file racing. It was not long until the 81ny was back in the hunt. By lap 7 the leaders were Stringer's 29 , followed by Boyle in the 2ct. Allen Coates followed in 3rd. Behind Allen was the battle of the 81s. Tyler Chapman had his 81ct Silverado holding down the 4th spot. Amazingly Corey Coates had charged in his 81ny from the back of the pack to fifth. Many race fans were watching the progress of Mike Cavallaro in his #80 Sport Truck. 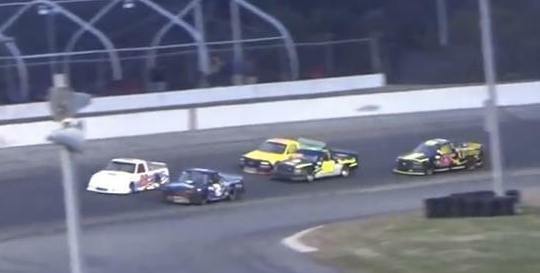 Sport Trucks regularly at the Seekonk Speedway. This was the first race that the downsized models were allowed to compete with the full size ProTrucks. Cavallaro's truck was very popular with the fans. He was up to 8th early. By lap 13 Corey Coates had moved his 81ny into contention for a much anticipated family battle. Allen Coates had all he could do to keep the 81ny of his son back. The pair fought side by side. The mid stages of the event had 3 pairs battling. Up front Boyle was giving Stringer all the competition he could handle. Coates verses Coates was in full swing. Tyler Chapman had his hands full with Gerard Giordano. The pairs soon turned into a cluster of 5. Giordano had joined the lead battle. he was looking for any opening to get by. Suddenly on lap 23, while exiting turn 4, Joshua Stringers Silverado snapped around and spun into the infield. The caution flew and Corey Coates inherited the lead. The field was restarted with 6 laps remaining. Jim Boyle's 2 was set up for the long run and did not come up to full speed right away. He dropped back into the clutches of a charging pack. Allen Coates was able to power by on the outside. Giordano moved to 3rd. Jim Boyle held on for 4th. The 29 of Stringer some how slice and diced his way from the back and rounded out the top 5. Corey and Allen have had battles in the trucks before. On this day Allen was not going to be able to mount a serious challenge to his son. 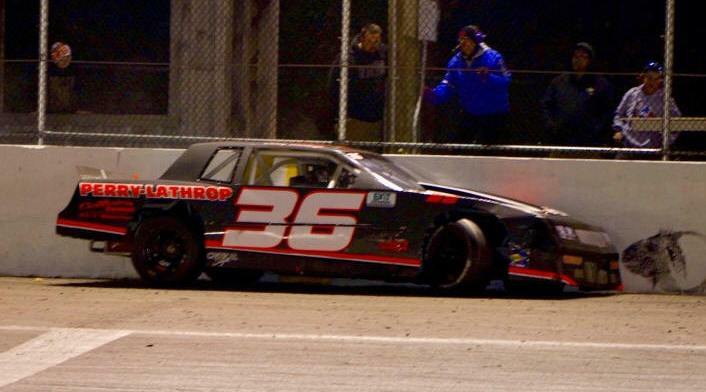 The younger Coates was on top and cruised to his first Thompson Speedway Ice breaker win. In victory lane Corey was quick to thank Dave Koenig, his car owner for choosing him to wheel the Dangerous Dave's Racing 81ny. "All I can say is the truck does the work. I just sit behind the wheel." said Corey. This year's Pro Truck schedule has less events, therefore there is added pressure to get into the Chase. With the Ice Breaker victory Corey Coates is on top of the standings with a win and the most points. Andy Lindeman also has a credit for a win. 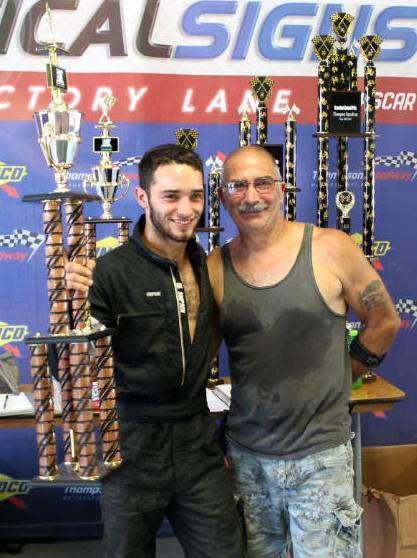 He grabbed a victory at the Waterford Speedbowl that counted towards this year's Chase. He is in second due to tat victory. Allen Coates currently sits in the 3rd Chase spot based on points. Gerard Giordano is in the 4th spot, and Jim Boyle currently is holding on to the wild Card berth. 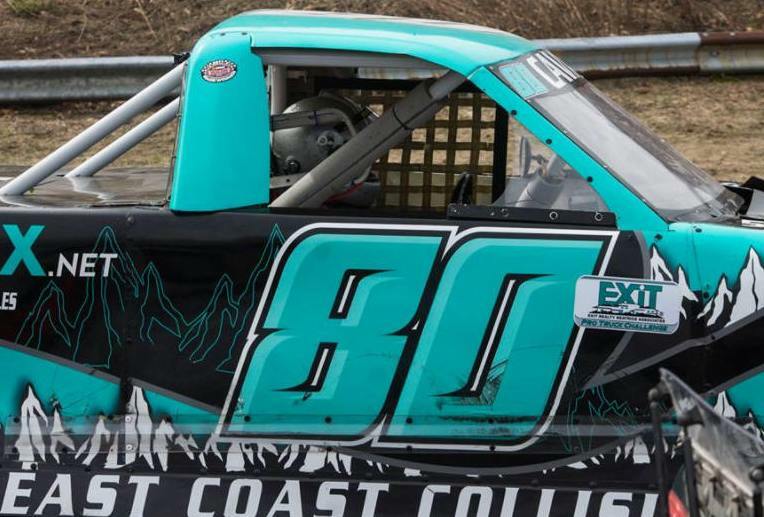 Leading in Rookie of the Year Standings is none other than Mile Cavallaro in his #80 Sport Truck. The Exit Realty Challenge ProTrucks next event is the Spring Sizzler at Stafford Motor Speedway April 28th. Last year Stringer racing pulled off a 1-2 finish with their 2 trucks. Pro Tucks are always awesome at Stafford. Hope to see you all there. 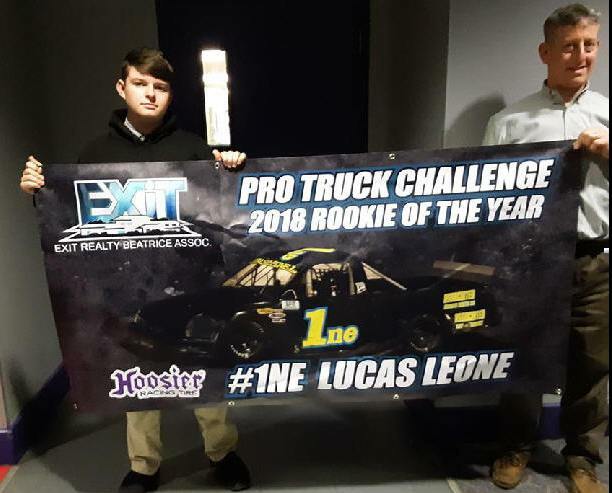 Click here for complete EXIT REALTY Pro Truck Challenge race results. Photo credits to Kenneth Brunell. 4/7 The EXIT Realty Challenge was in full swing at Thompson Speedway's Ice Breaker. Friday's snow cast doubt that the race weekend would even take place. Some say the Speedway's GM, Josh Vanada has a deal with the weather gods. The snow gave way to sunny skies and the 44th annual ice Breaker weekend was underway. The much anticipated 375 Pro Sportsman Challenge was on tap for 35 laps of full bodied race action. Fans were also Challenged to pick the finishing order of the top 10 and win a $30,000 dollar Camaro. The Challenge cars qualify by time. The 36 of Corey Hutchings set down a lap of 22.701 seconds to win the pole. Scott Serydynski was only 3 thousandths of a second behind Corey. Ryan Waterman was also close just 2 hundredths of a second behind the pole sitter. There was a shuffle in the line-up that moved the75 of Waterman to the front row outside of Hutchings 36 for the start. In the second row was Corey Fanning. Ryan Lineham had his 19 Camaro in the 4th position. Winner of the first 375 Pro Sportsman race, Frank Le'Toile Jr. would round out the top 5. Other notables included current Thompson Speedway Champion Shawn Monahan in the 55 starting sixth and Scott Serydynski, who had adjustments made post qualifying necessitating a start from the 10th position. Hutchings led the field to the green. Entering turn one, the 3 Twisted Tea Camaro of Jordan Pearson slid high and made contact with the outside wall. 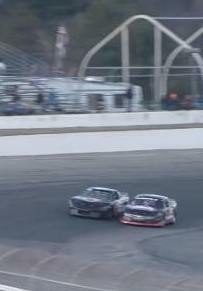 The contact ended the Maine driver's day and brought out the first caution. The field was back underway on lap 4. Hutchings pulled out to a lead while the 75 of Waterman and the 11 of Corey Fanning ran side by side. Eventually Waterman prevailed. Shawn Monahan moved into 4th spot by passing Lineham's 19 Camaro on lap 10. The 33 of Le'toile followed along . The 22 of Serydynski moved up to 7th. Up front the 36 of Hutchings was being hounded by Waterman. The 36 Monte Carlo was also leaving a trail of smoke. Waterman was able to pull up and challenge only to be held off time after time. Finally on lap 17, he was able to establish position low and nose slightly ahead. Suddenly, while side by side, Hutchings spun. Fanning and Monahan avoided the 36 which backed to a rest on the apron in turn 4. The Challenge has a contact rule. If two cars have contact, and one spins, both drivers must be sent to the back. Officials were not sure if there was contact, or if a mechanical issue may have caused the spin. The incident would be reviewed on video post race. Waterman stayed on the point indicating that maybe there was no contact. The lap 21 restart had the 75 of Waterman and the 55 of Monahan in the front row. Fanning and Lineham made up row two. Serydynski 's 22 and Rick Charette's 14 made up row three. Monahan pulled off a perfect cross over and challenged low for the lead heading down the back stretch. Behind the leaders, Serydynski, Fanning and Lineham were 3 wide. Caution flew when the 76 of John Hanafin made contact with the wall. On the lap 28 restart Waterman lined up to hold of Monahan again. The 75 lost rear traction allowing the 55 of Monahan to pull ahead on the back stretch. Ryan Lindeman slid high in between turns one and two. This left Serydynski and Fanning battling. Fanning was able to hold on to 3rd. Caution was out for Lineham's 19. This set up the final restart on lap 30. For this restart Monahan now had control of the field. Waterman lined up outside. Corey Fanning and Serydynski now made up row two. Rick Charette and Stephen Potter in the 31 made up row three. Monahan got a great jump and led. Serydynski managed to move from outside Fanning to inside Waterman to challenge for second. With 3 to go, on the back stretch the 22 moved low but Monahan threw the block. This allowed Waterman to roll up along the outside through turns 3 and 4. As the trio headed down the back stretch it was Monahan inside, Waterman outside and Serydynski looking for a way by both. By the time they made the front stretch it was 3 wide. entering turn one the 22 made contact with Monahan's left rear. This forced Monahan into Waterman. The door was open and Scott Serydynski motored under and on to the win. Monahan had to settle for the runner up spot. Corey Fanning took advantage of all of the contact to finish third. The win was an emotional one for the entire team. March 28th the Serydynski 's lost a family member. Meri Serydynski, Scott's wife lost her dad. This is a racing family and Norman George's presence was felt by all. Meri thanked her dad for "bringing Scottie to victory lane." Post race Waterman was moved behind Corey Hutchings in the standings. Competition director Marshall Hurley said, "During the event we don't want an error on our part to take a chance to win away, so we review the tape. It is clear there was contact between the 36 and the 75. The contact rule was applied and the standings were adjusted . It is not a huge change. Both drivers put on a great show." The EXIT REALTY 375 Pro Sportsman Challenge heads to the Waterford Speedbowl May 26th. Join us for outstanding on-track action . Be sure to take your shot at winning a $30,000 Camaro. No purchase is necessary. For Final Results Click Here. View the Robot Bagot Video below. Copies are available. EXIT Realty Beatrice Associates is excited for the 2018 Race Season in New England. “I think it’s safe to say we’ve all had enough of this snow and we’re all ready for racing to start,” says Challenge Sponsor Derek Beatrice. EXIT Realty is going to “CHALLENGE” both the Fans & Drivers throughout the 2018 Season. We open on April 7th at Thompson Motor Speedway for the EXIT Realty Pro Truck Challenge & EXIT Realty 375 Pro Sportsman Challenge. Long Island's Dave Koenig was asked if he would take "The Challenge". He will debut a brand new truck at the Ice Breaker. "Hell ya. If I won the pole it means my truck is on the money. " Eight time series, and defending Champion Andy Lindeman responded to the same question with a simple confident, "I'm in"
Allen Coates echoed the same feelings. "I'll take the Challenge. Racing is about passing and working for the win. That to me is a good race". Next up is the Challenge for the Fans! The EXIT Realty Fan Challenge will take place during the 375 Pro Sportsman race. All a lucky fan needs to do to become a winner is correctly predict the Top 10 Finishers in order from 1-10 and the Lucky Fan will win a 2018 Camaro or Truck ($30,000 Value). * The fans will be able to sign up for the EXIT Realty Fan Challenge at Thompson Motor Speedway the day of the race and must be present following race in order to claim their prize! You’ll want to get to the track early to watch the Time Trials and get your picks in early as it will be limited to the first 2,500 Fans. If you’re new to the game you can download “Race Monitor” from your app store to follow along “Live” during Time Trials! Stay tuned to this page as EXIT Realty plans on bringing more Challenges for both Fans and Drivers alike during the 2018 Race Season.